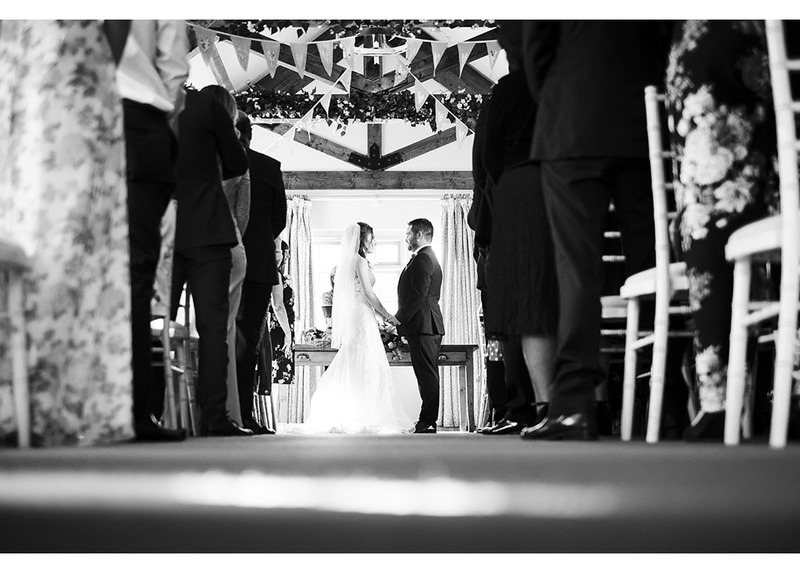 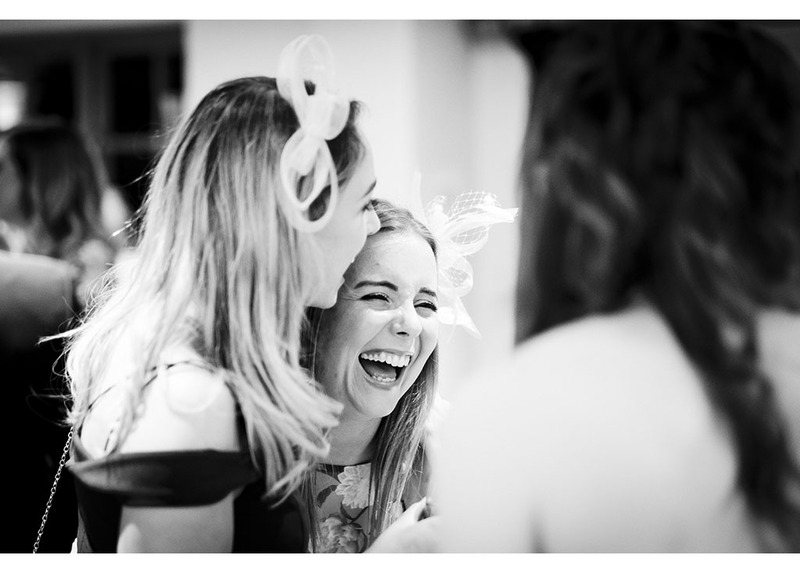 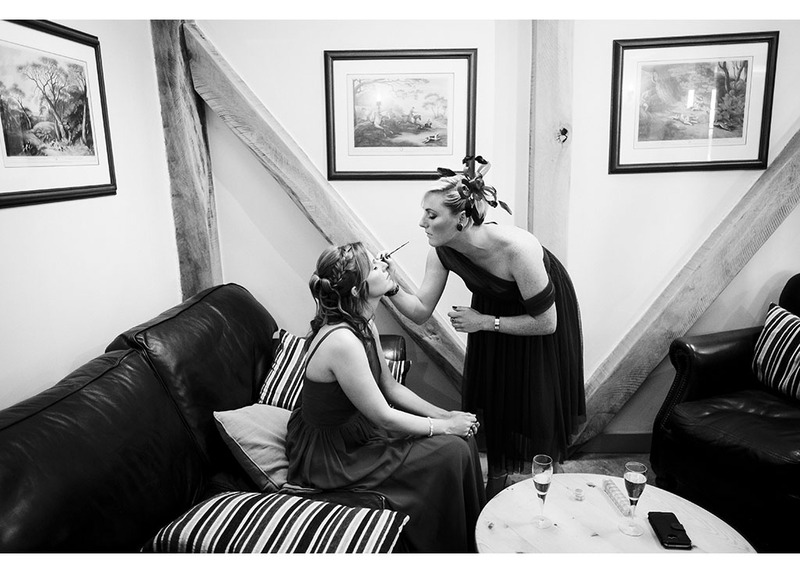 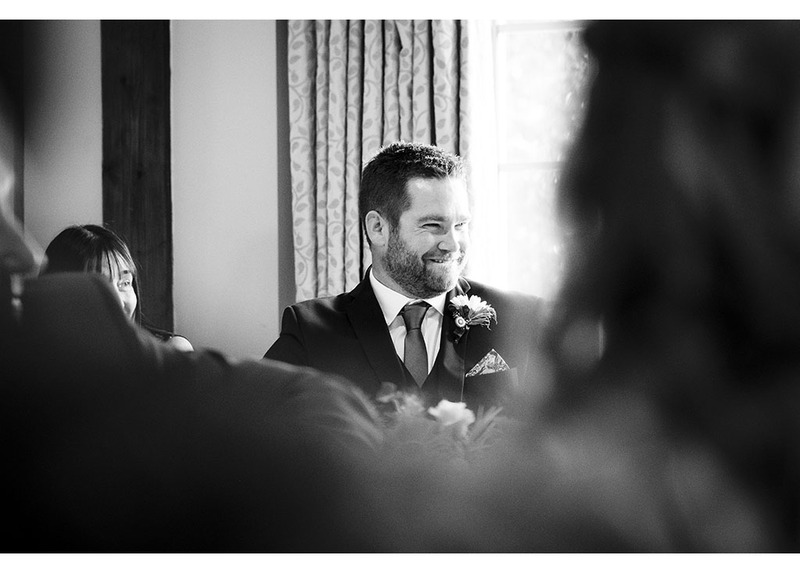 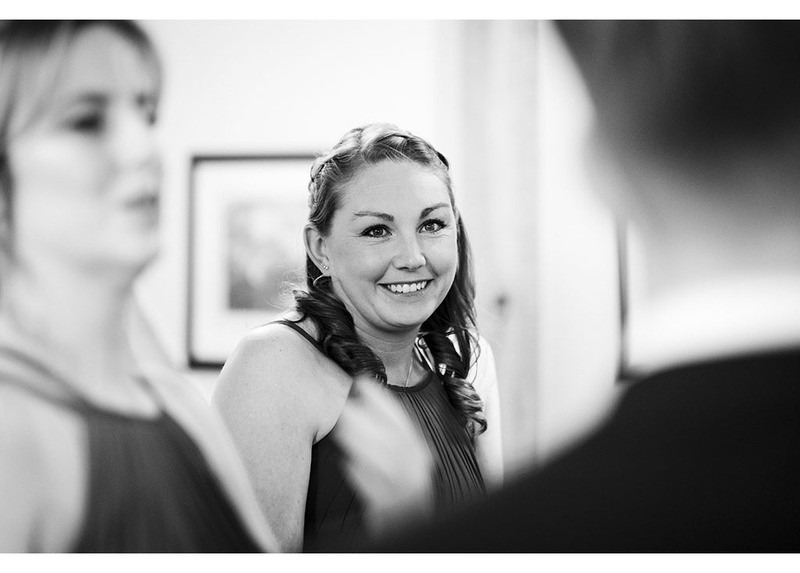 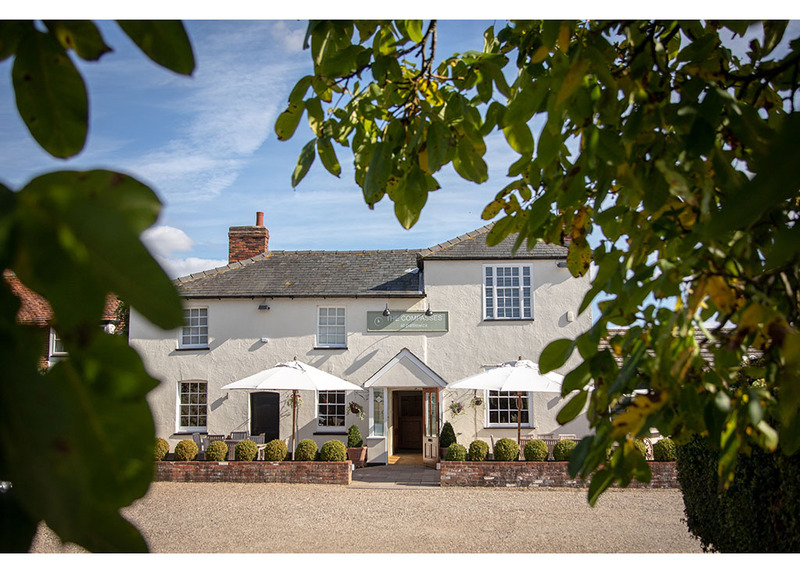 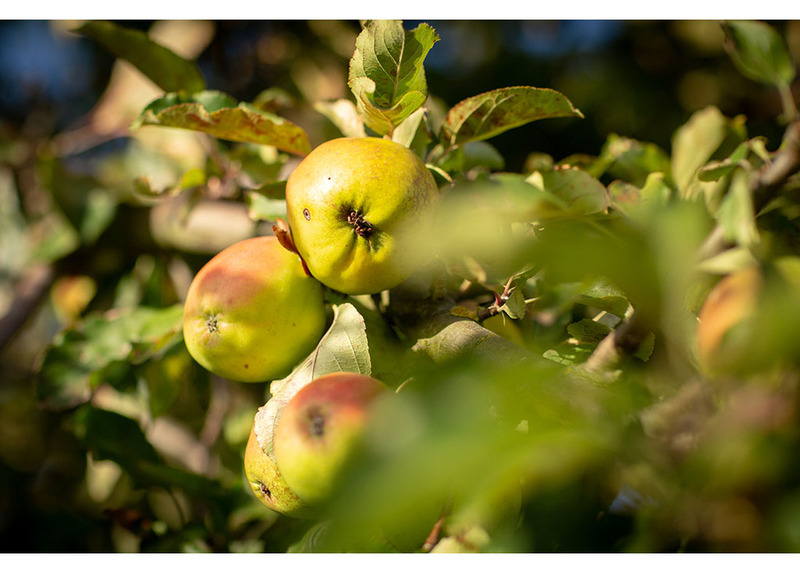 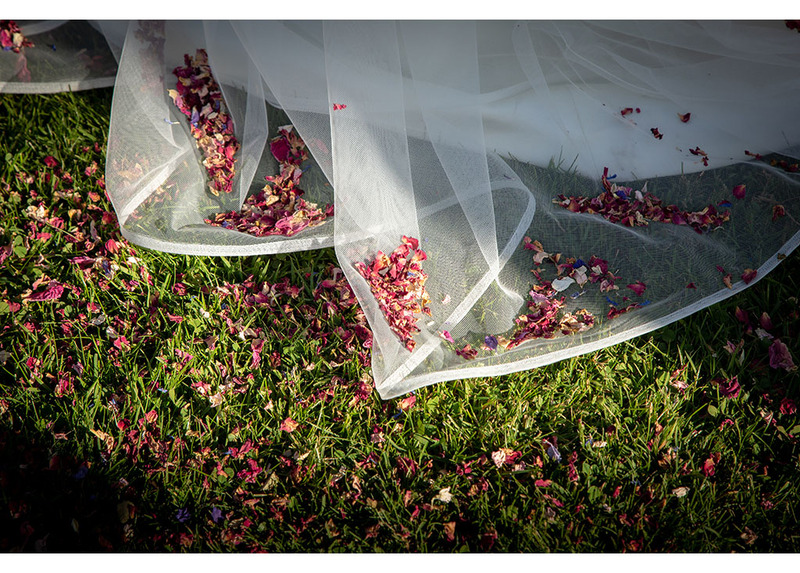 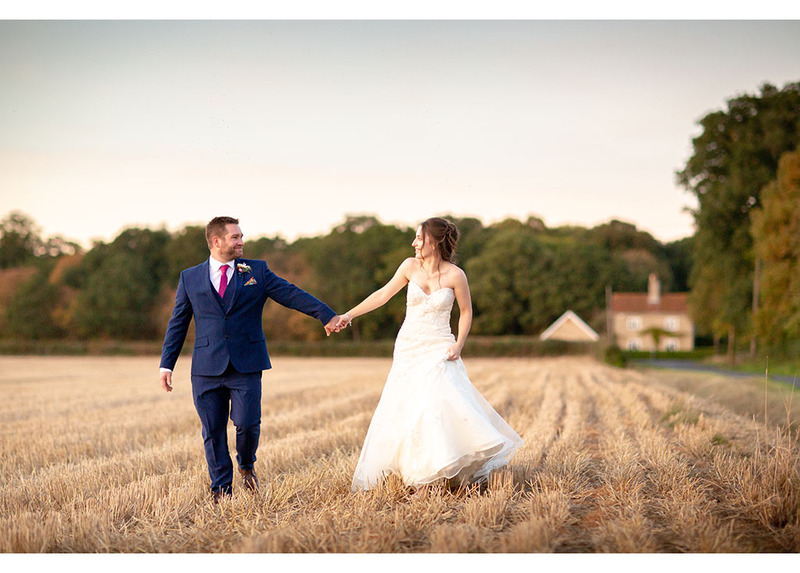 On the last weekend of September Charlotte & Dan were married at The Compasses at Pattiswick. 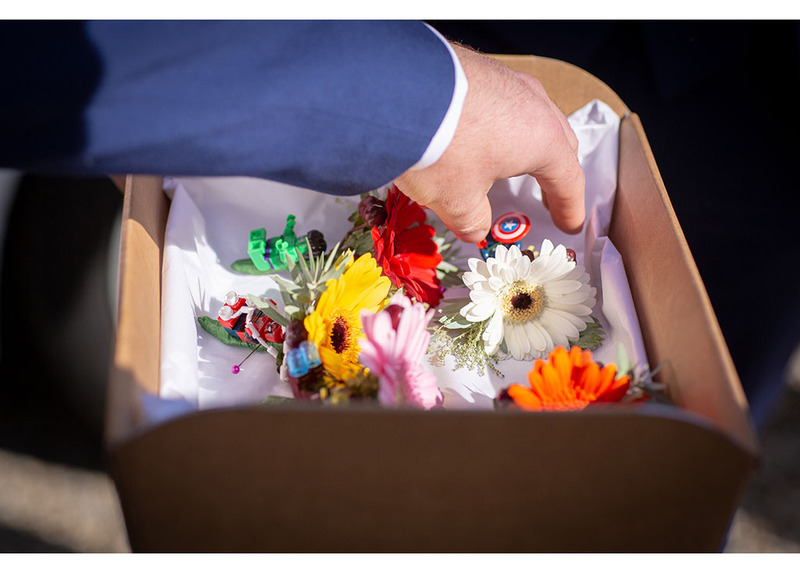 They were treated to a day full of sunshine and smiles. 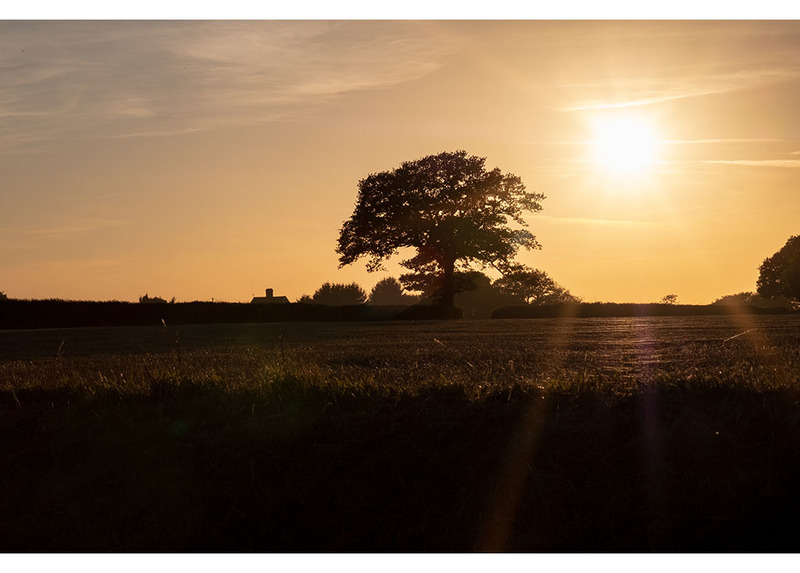 The sun shone brightly all day. 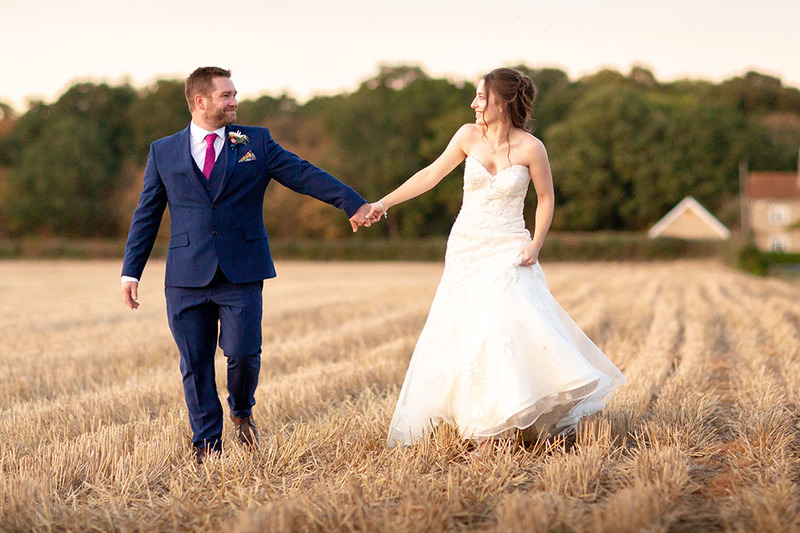 It really was perfect weather for a late September wedding. 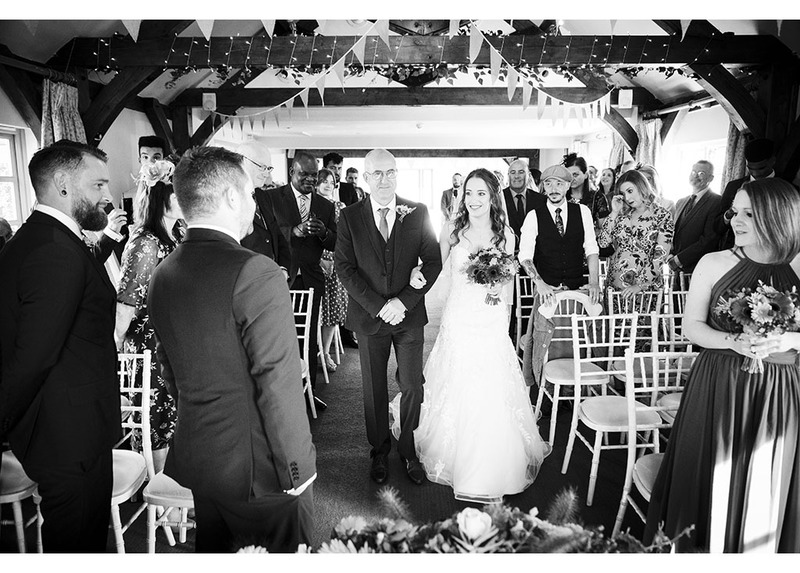 On this occasion the couple opted for our emerald package. 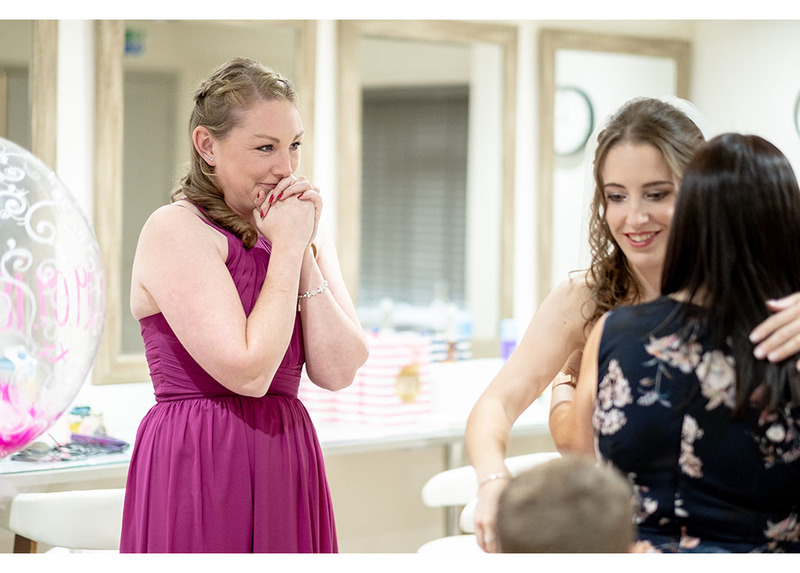 We still, as always, arrived at the venue with plenty of time enabling us to capture the last minute preparations prior to the ceremony. 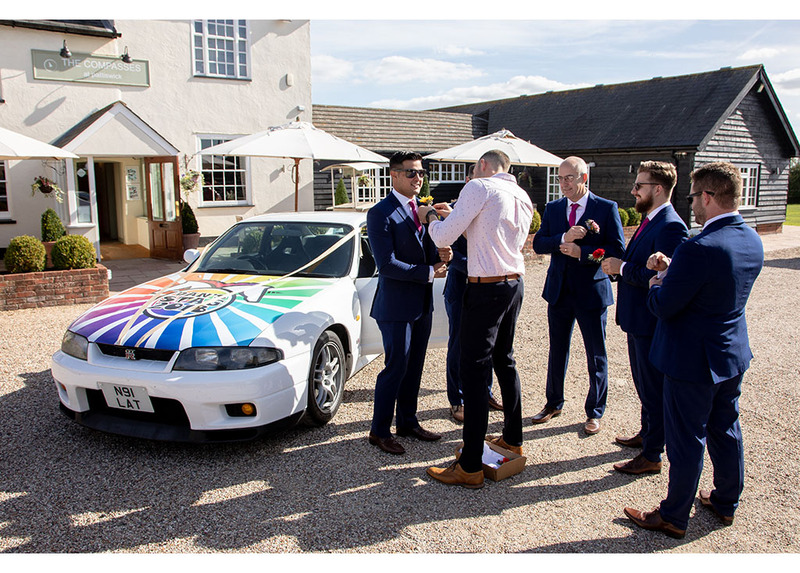 We photographed all the groomsmen arriving in Dan’s trusty rally car as well as the father of the bride seeing his daughter in her wedding dress for the first time. 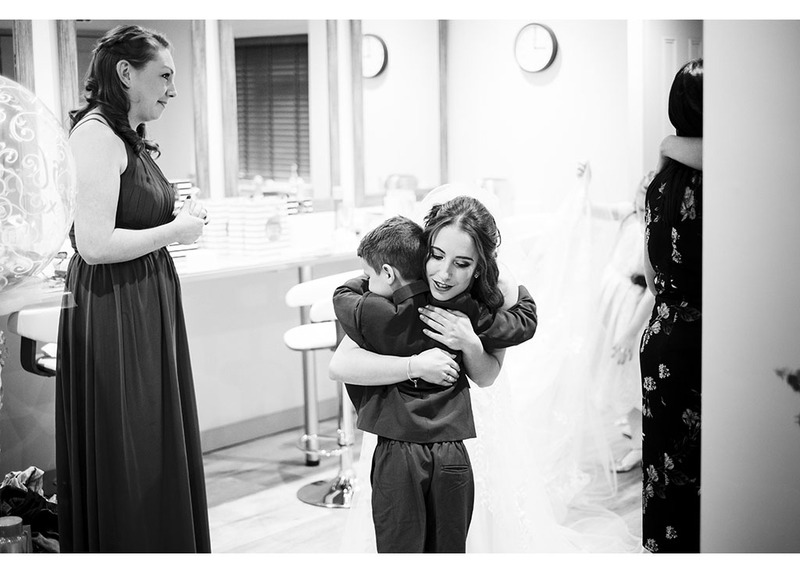 Beautiful poignant moments now captured to remember forever. 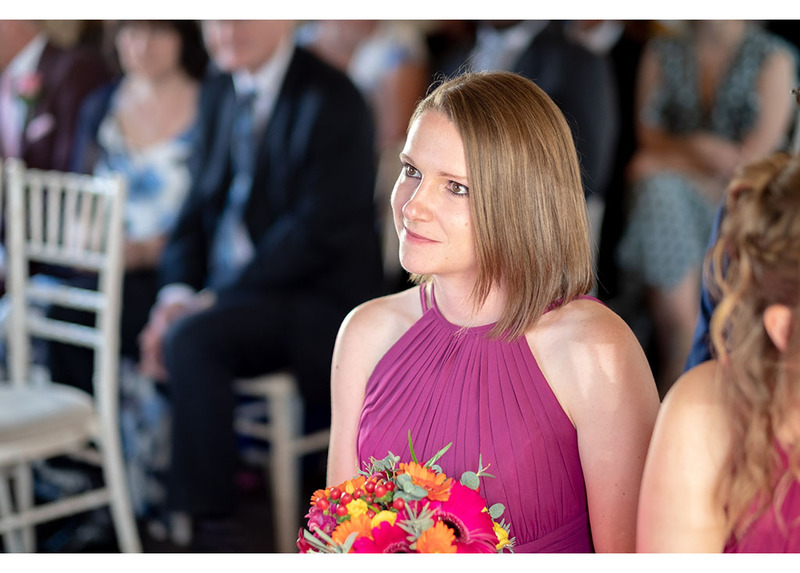 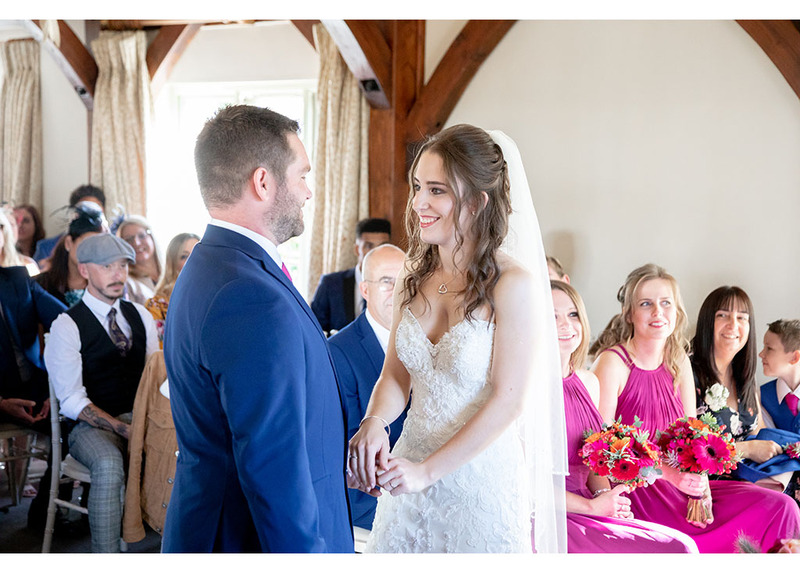 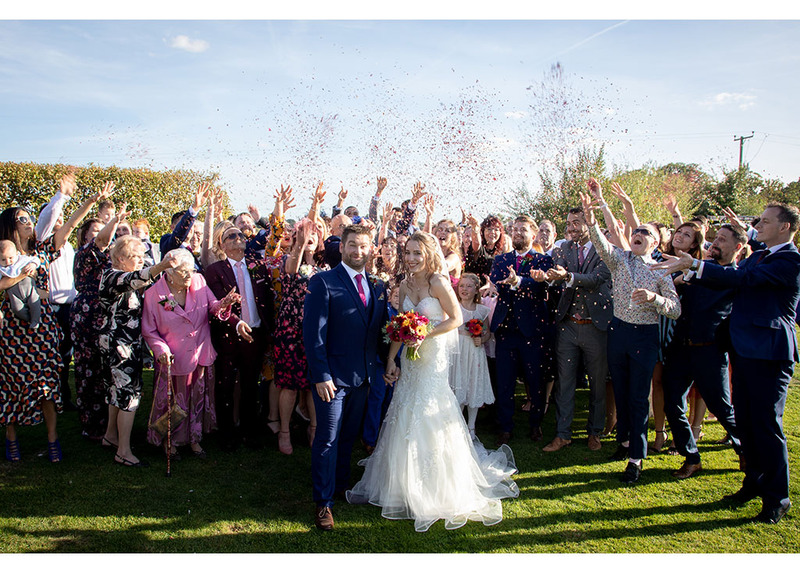 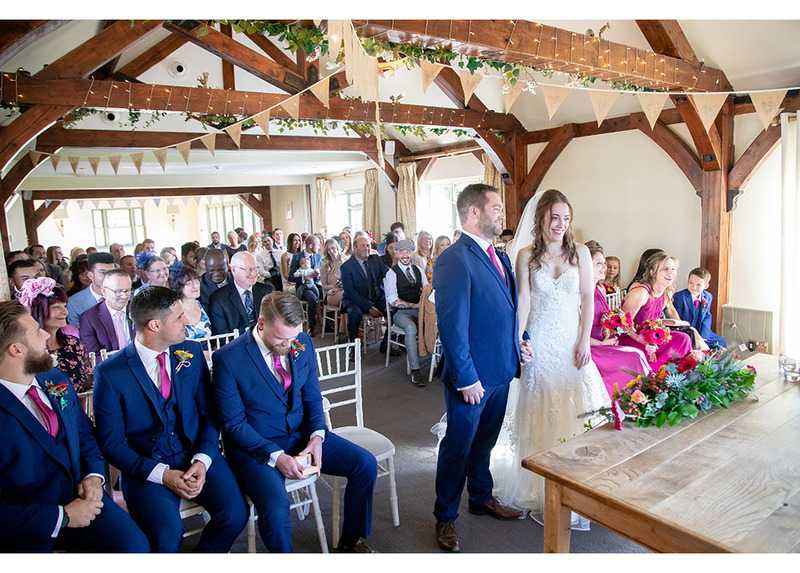 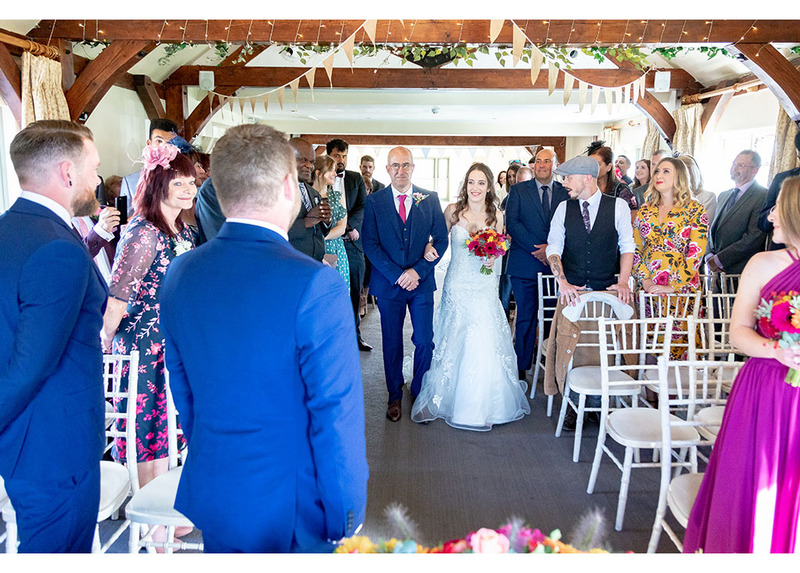 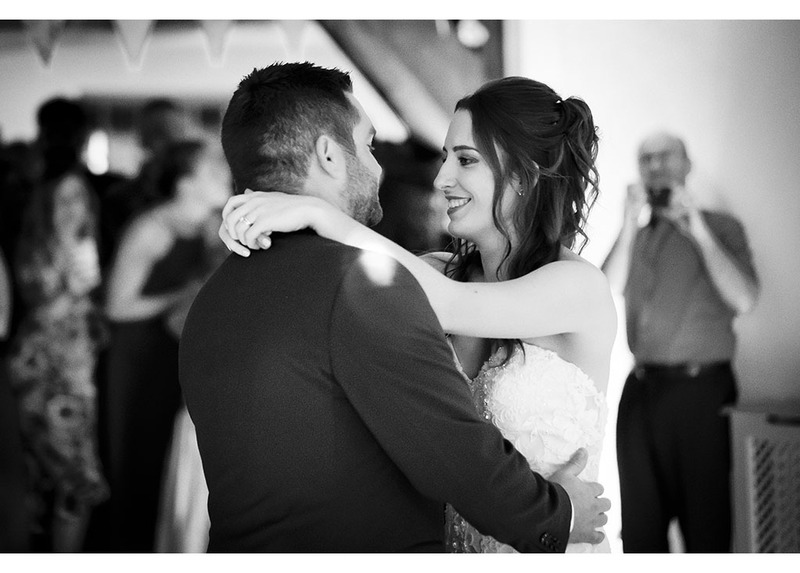 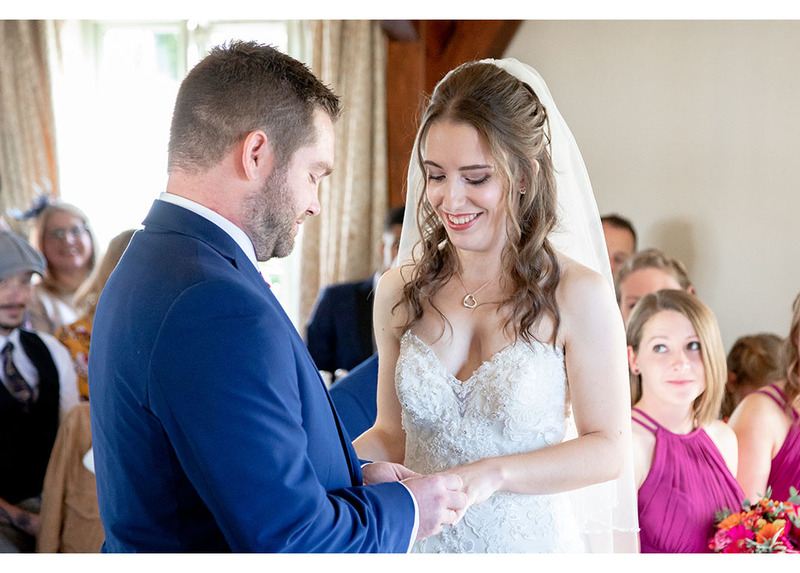 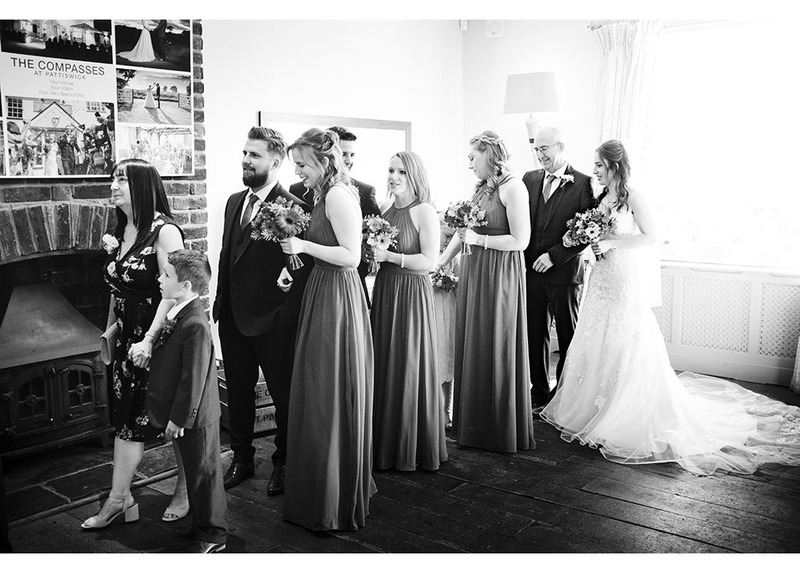 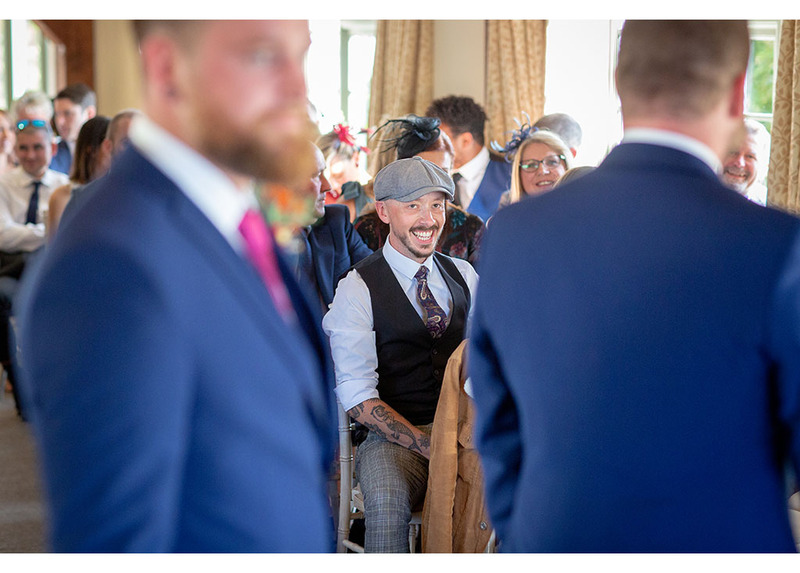 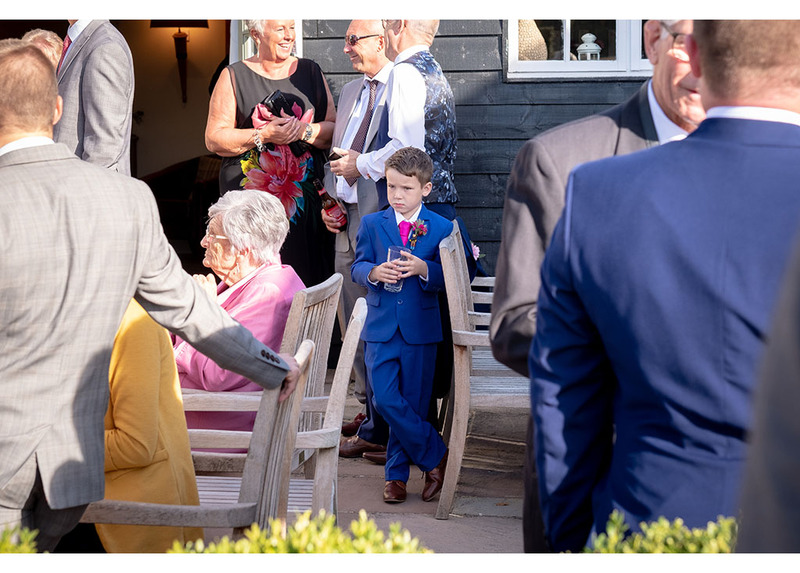 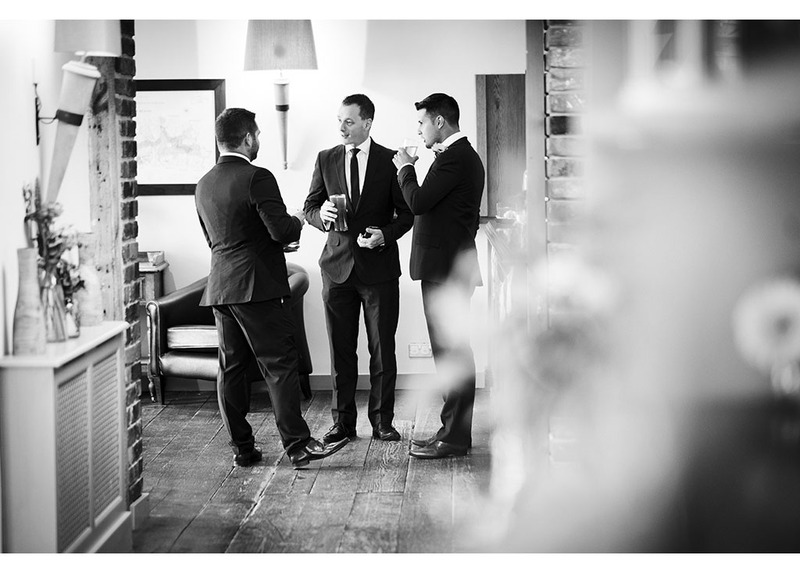 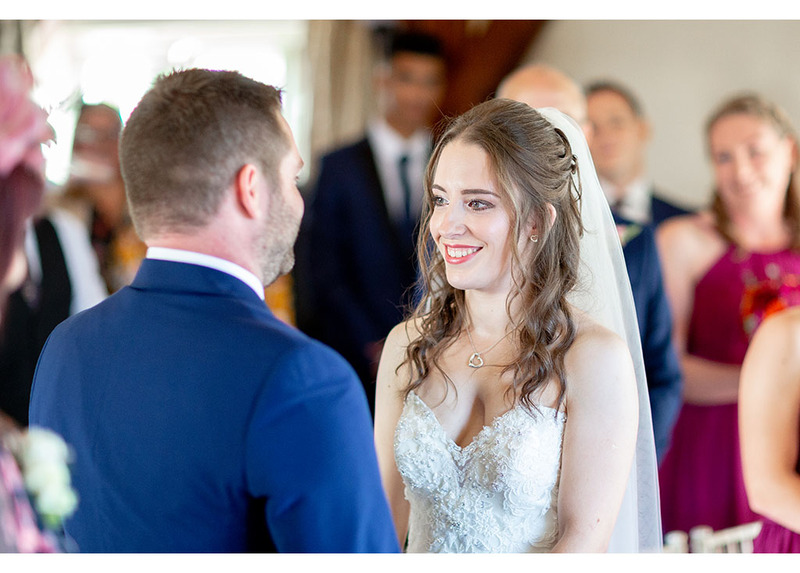 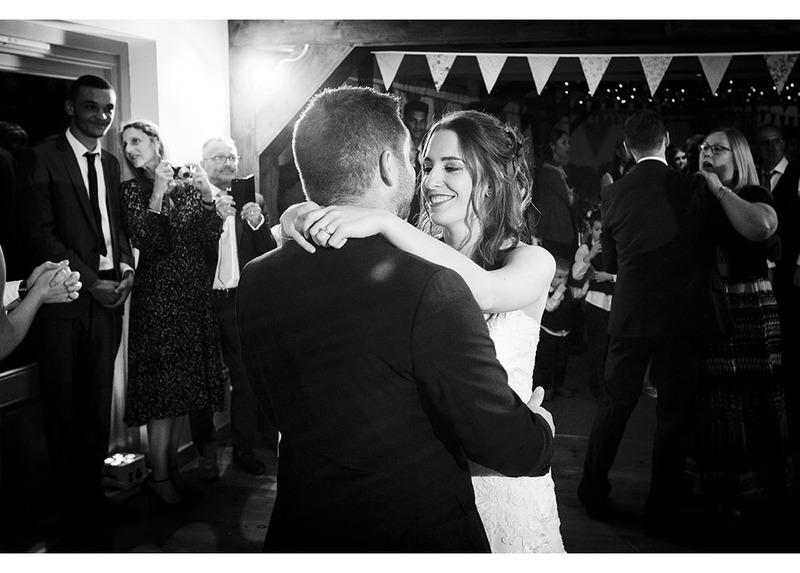 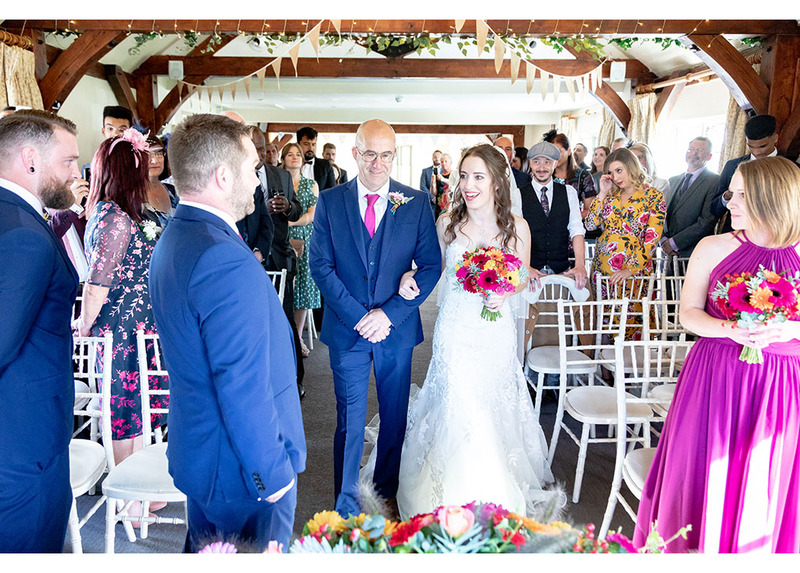 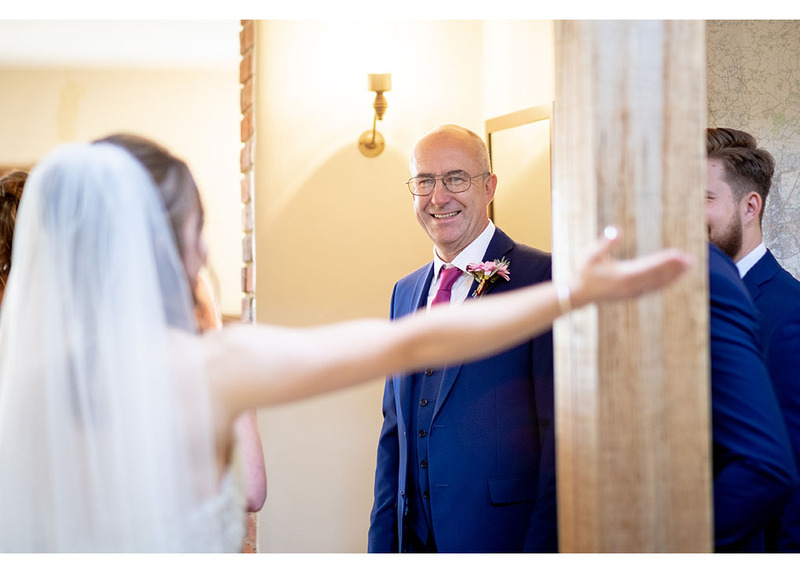 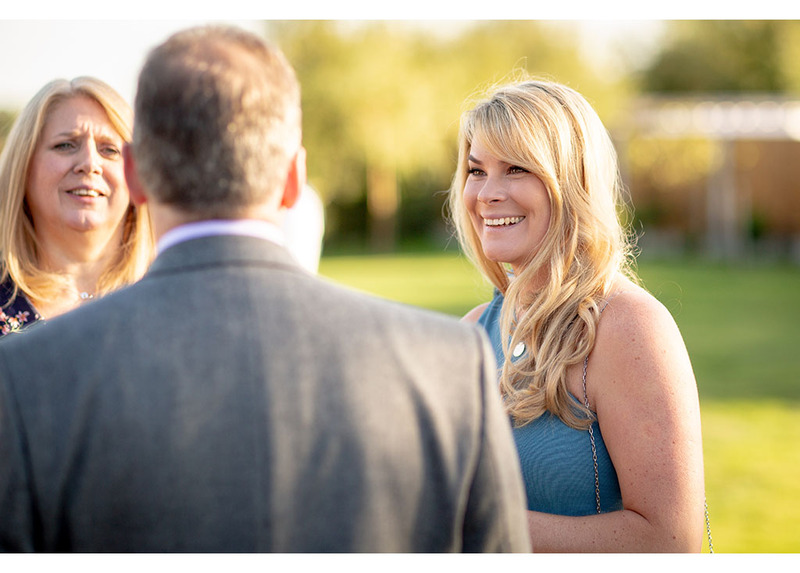 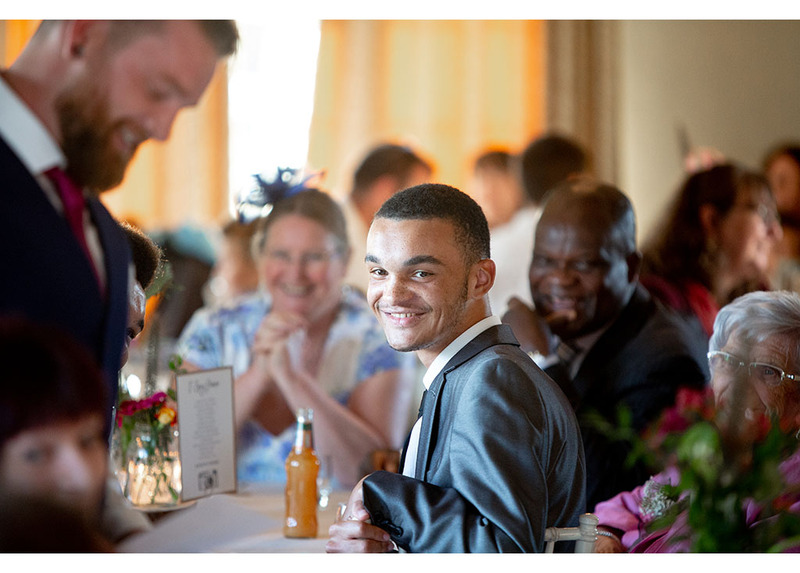 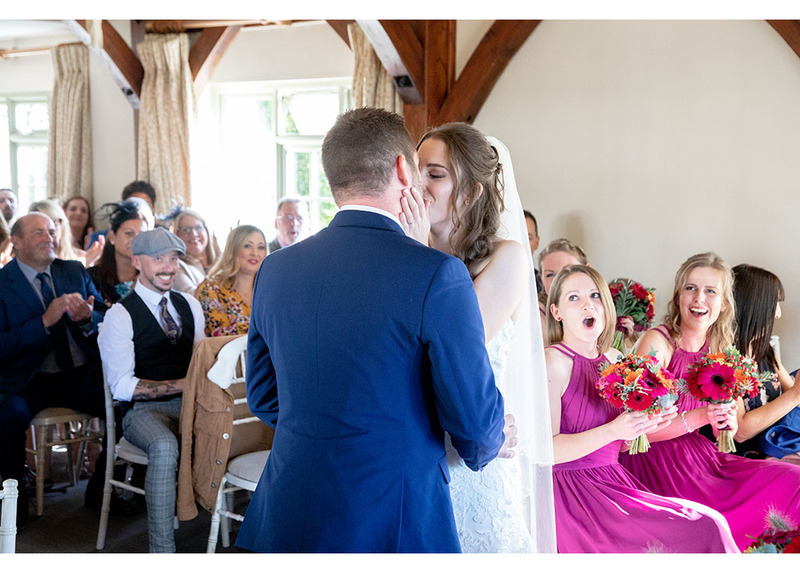 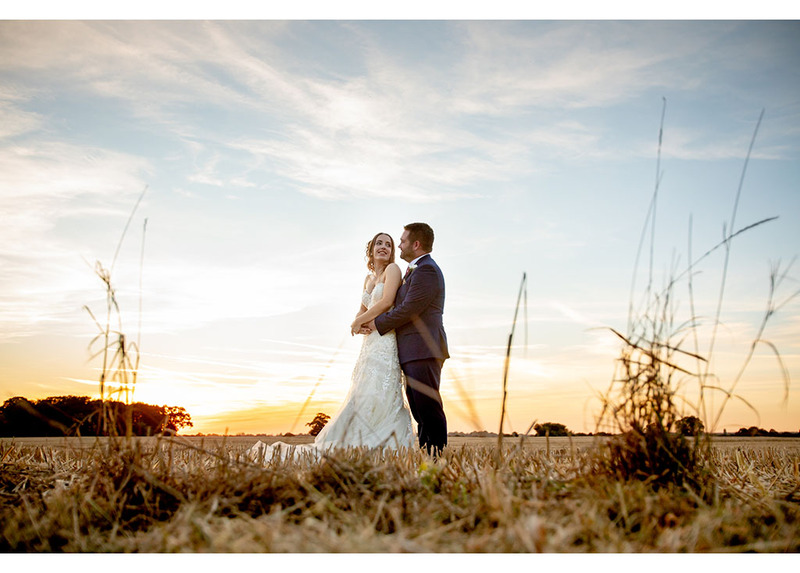 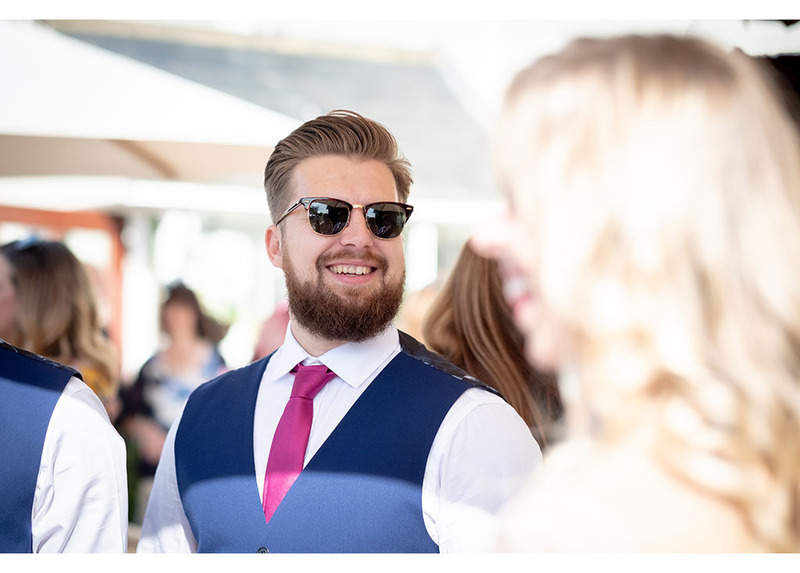 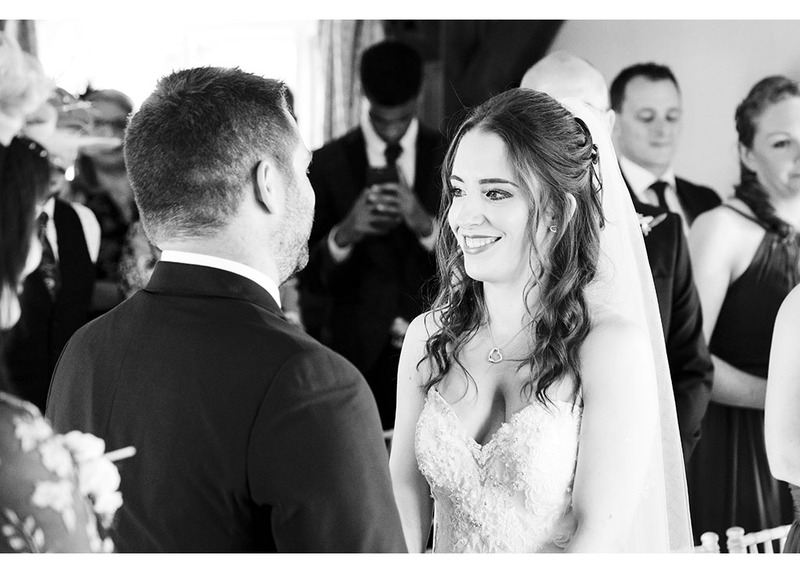 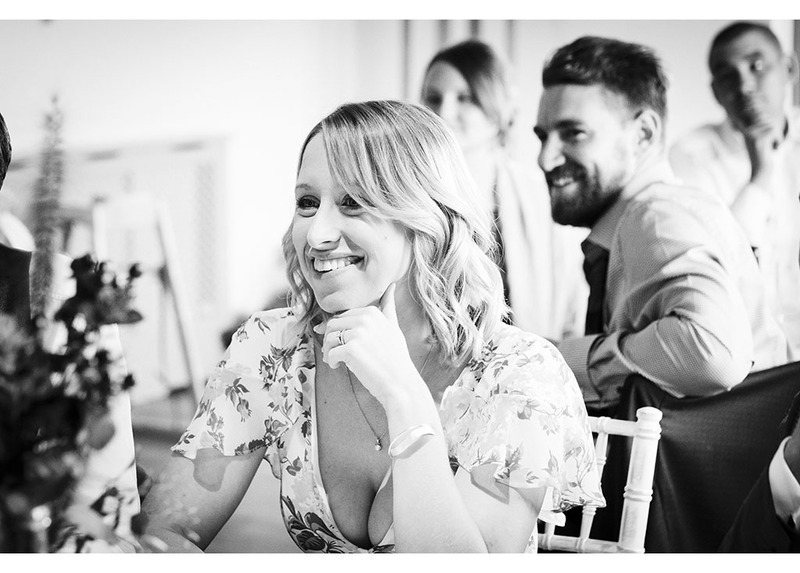 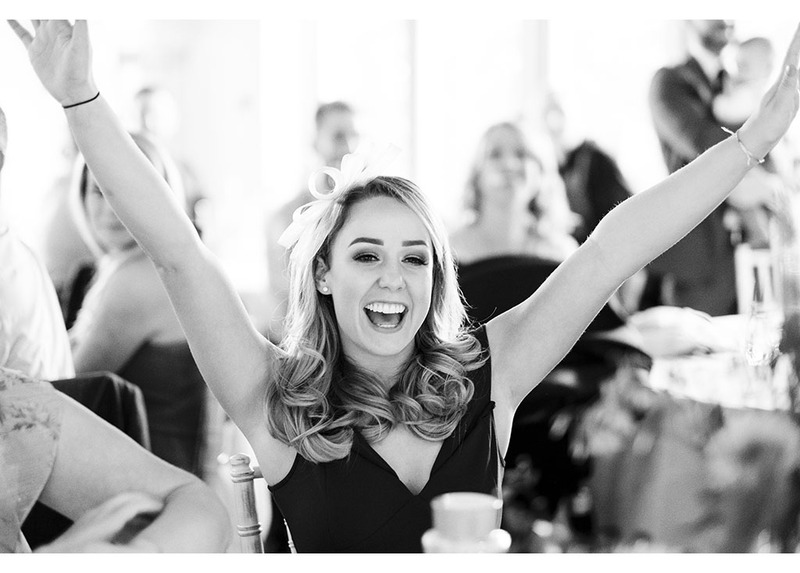 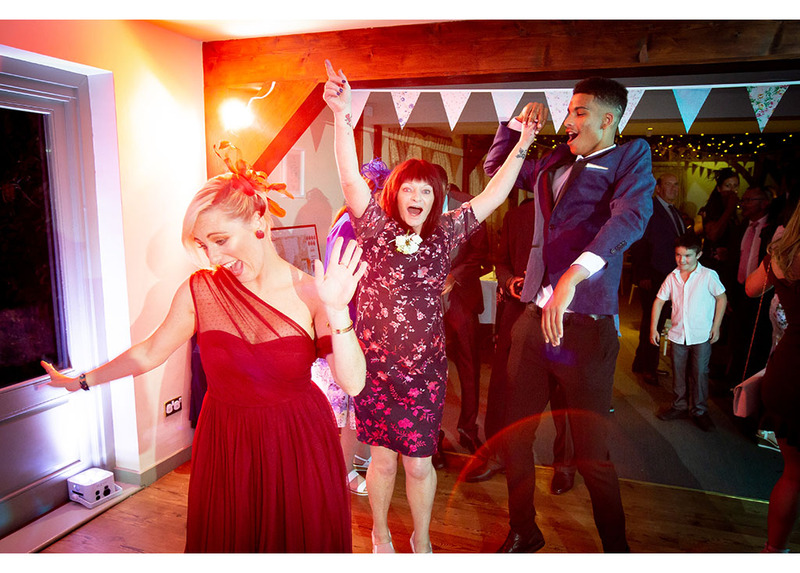 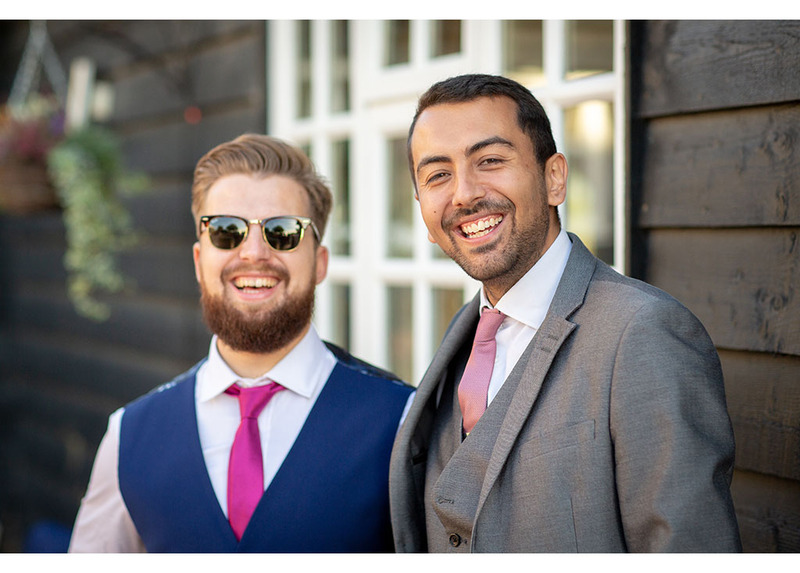 Charlotte and Dan loved the laid back rustic style of the Essex wedding venue, The Compasses at Pattiswick. 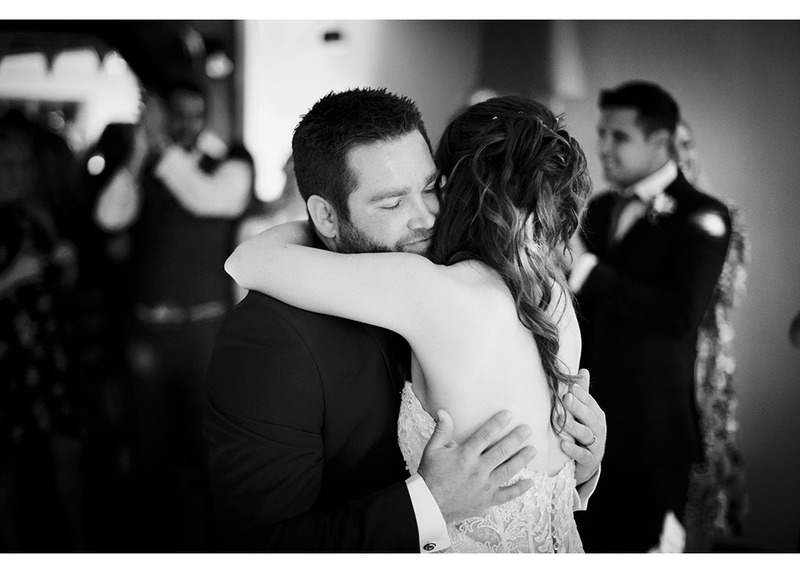 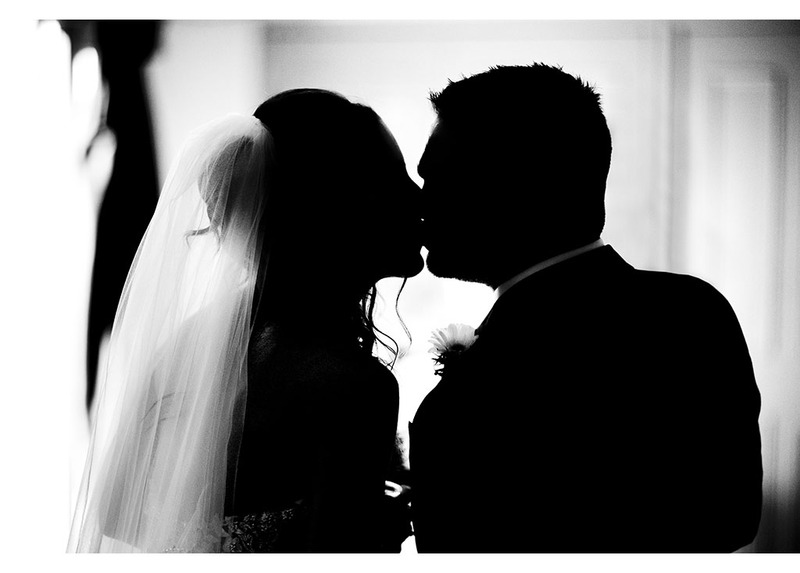 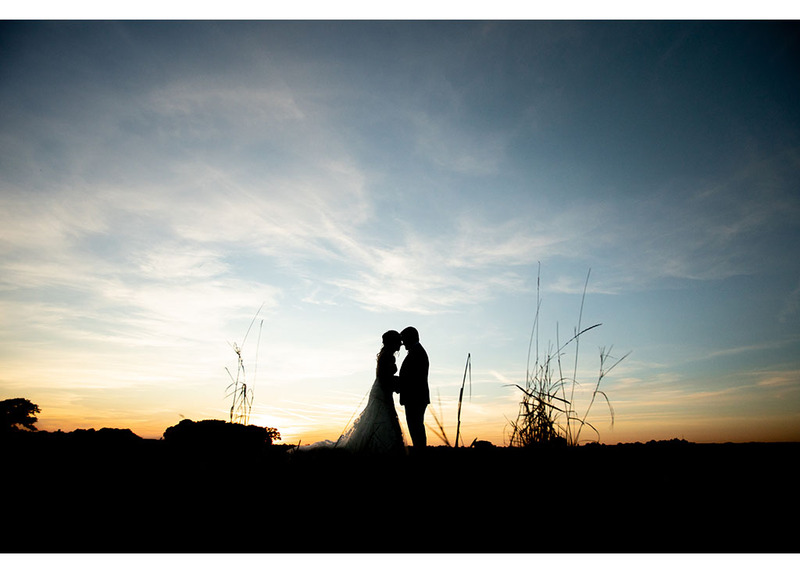 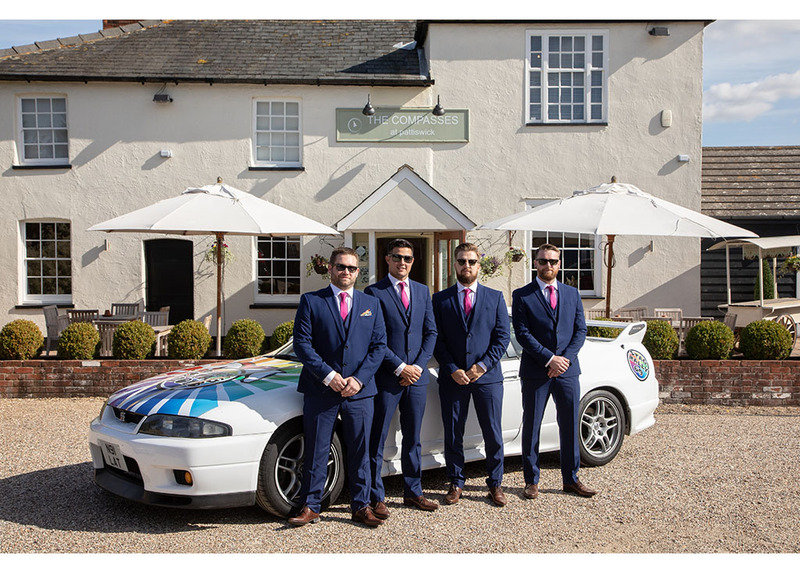 This was a big inspiration to their day and it was important for them to have a relaxed wedding day. 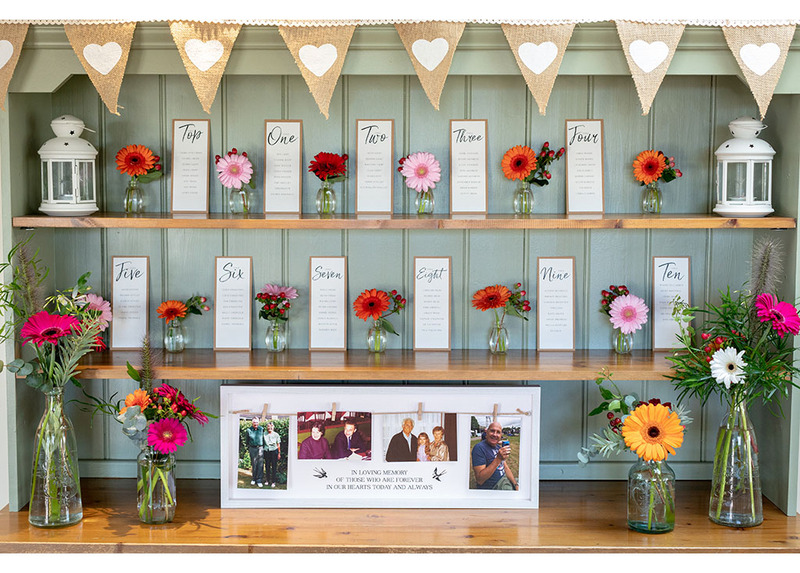 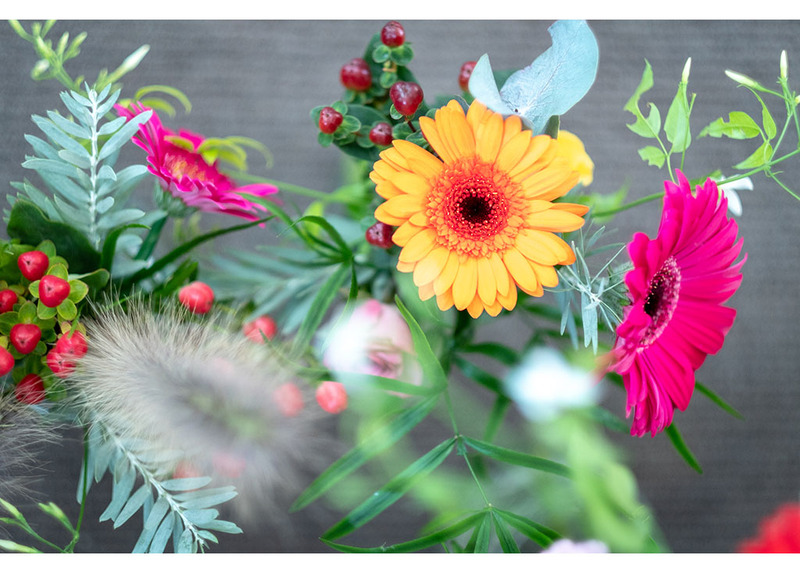 We loved their choice of flowers created by the talented Springfield Florist in Chelmsford. 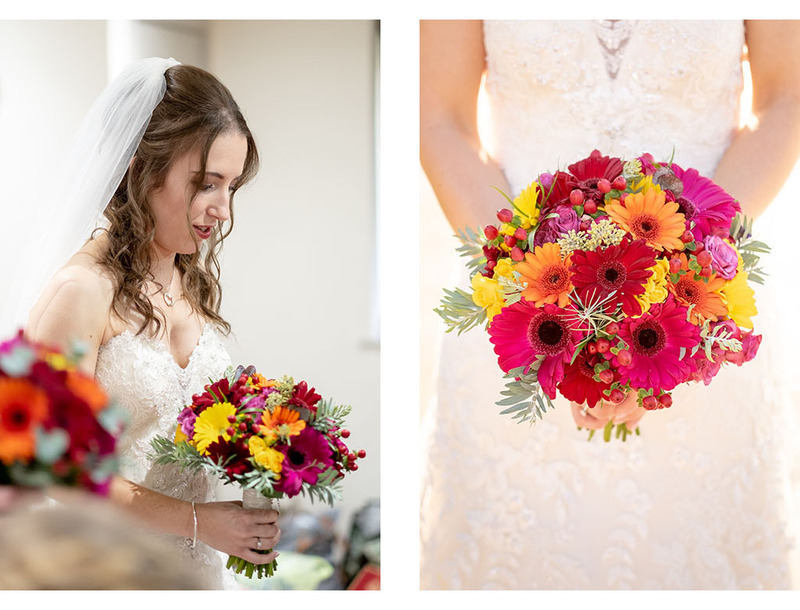 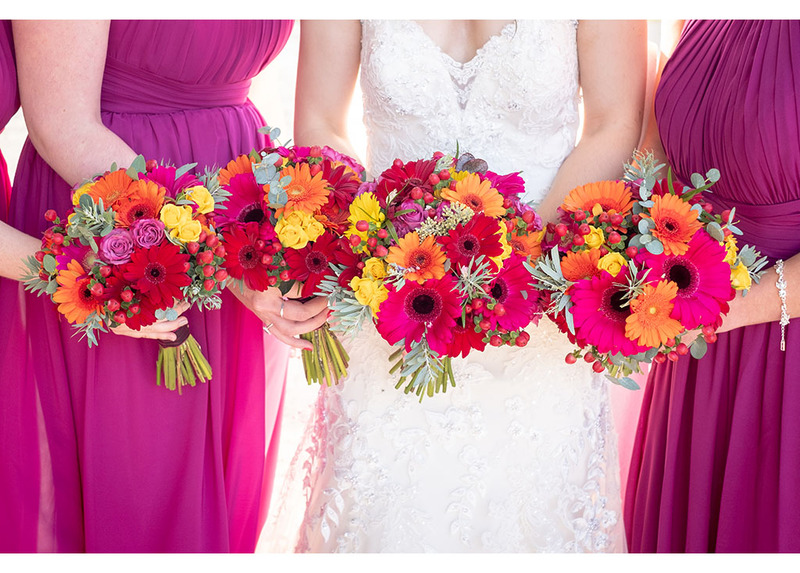 Flowers in the bouquets and buttonholes were vibrant bold colours. 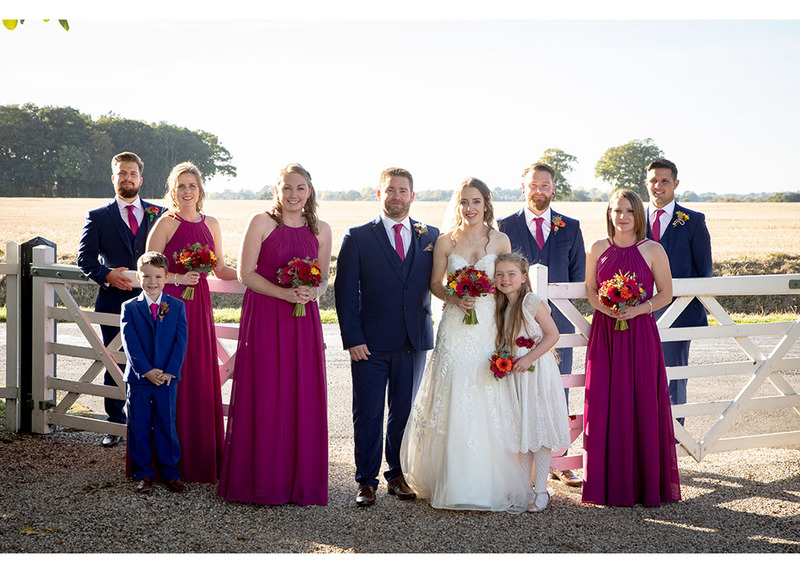 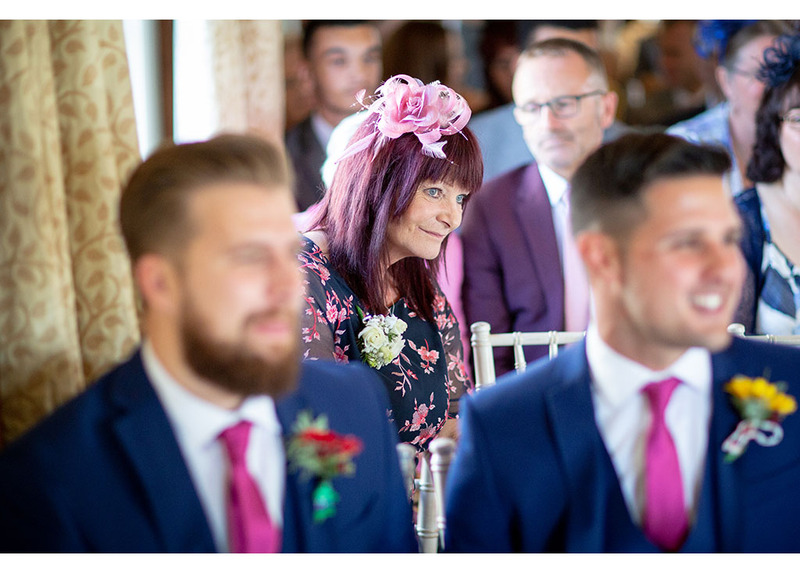 These bright flowers of pinks and purples were also displayed in cute vintage vases and placed around the venue as well as stood on log slices in the centre of all the tables during the wedding breakfast. 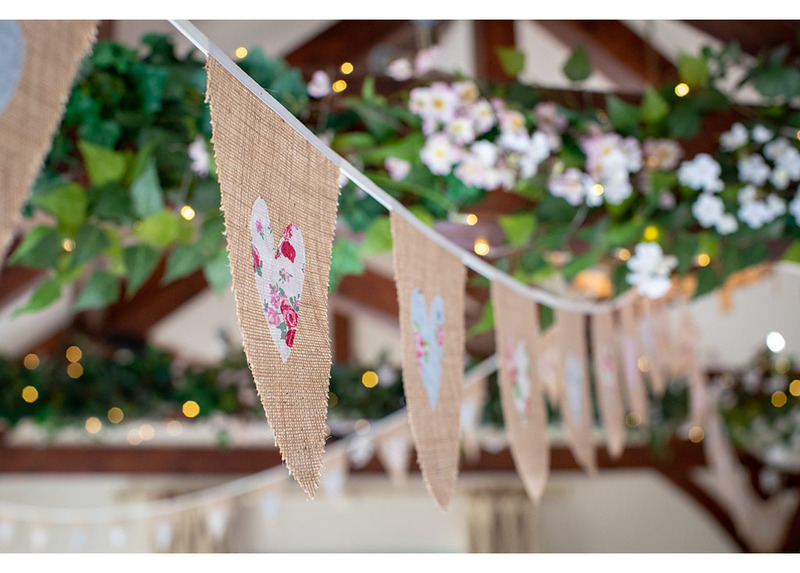 Perfect for that rustic style. 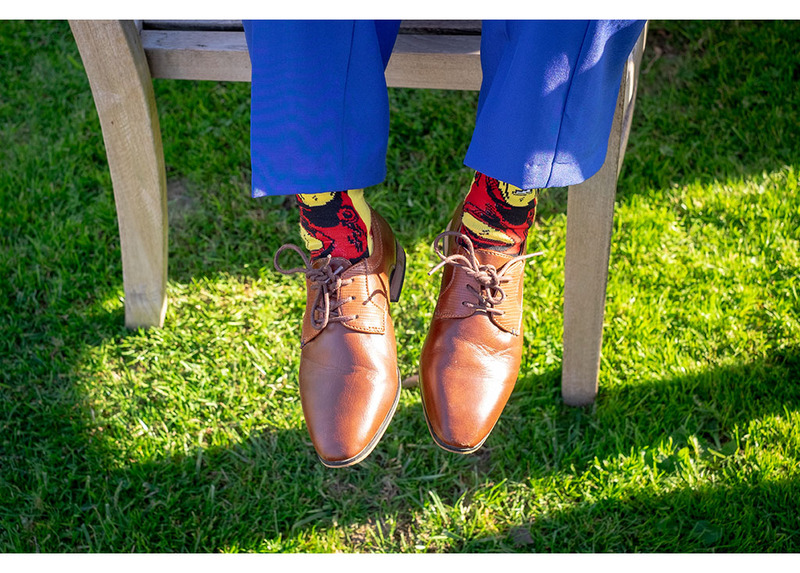 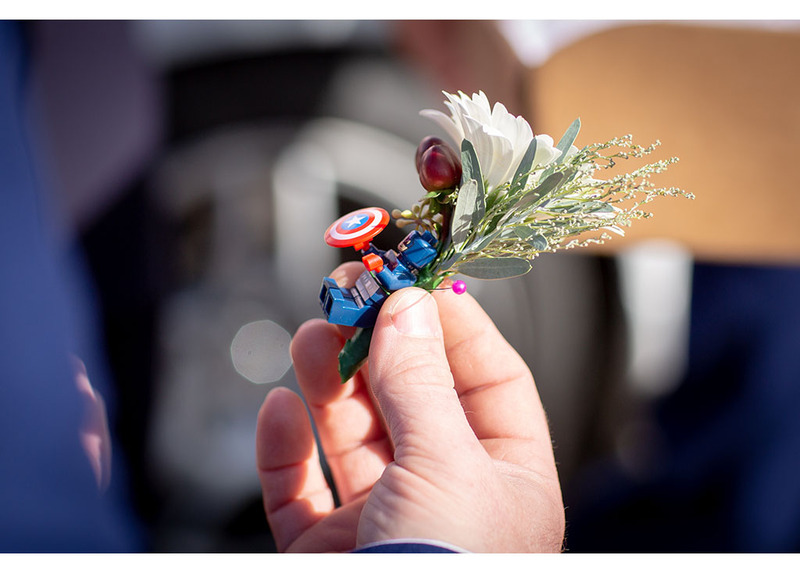 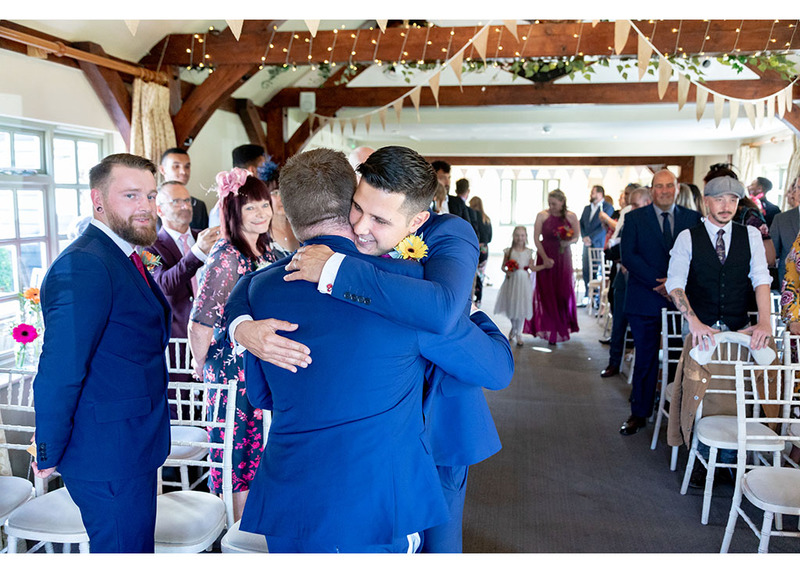 The bride surprised her groom by organising fun, quirky buttonholes; each one a different super hero from The Avengers, and all Lego characters. 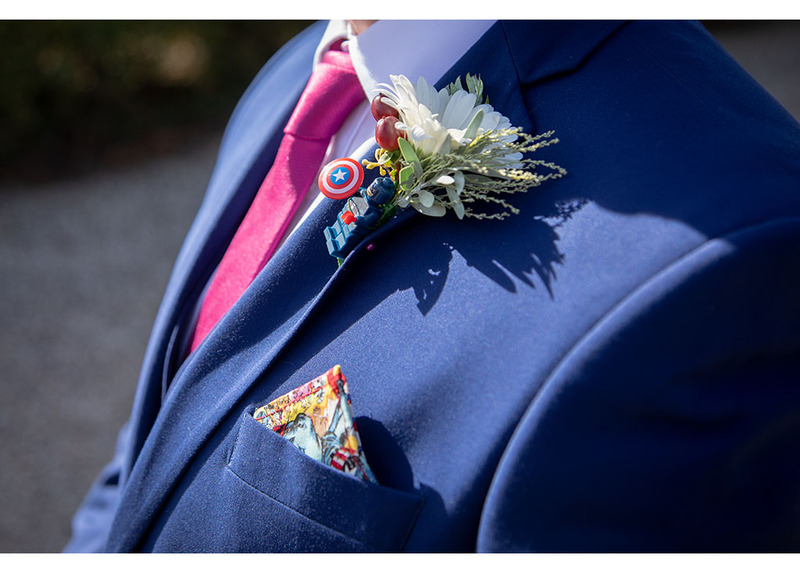 The Avengers were a reoccuring theme as they did make another appearance towards the end of the evening too! 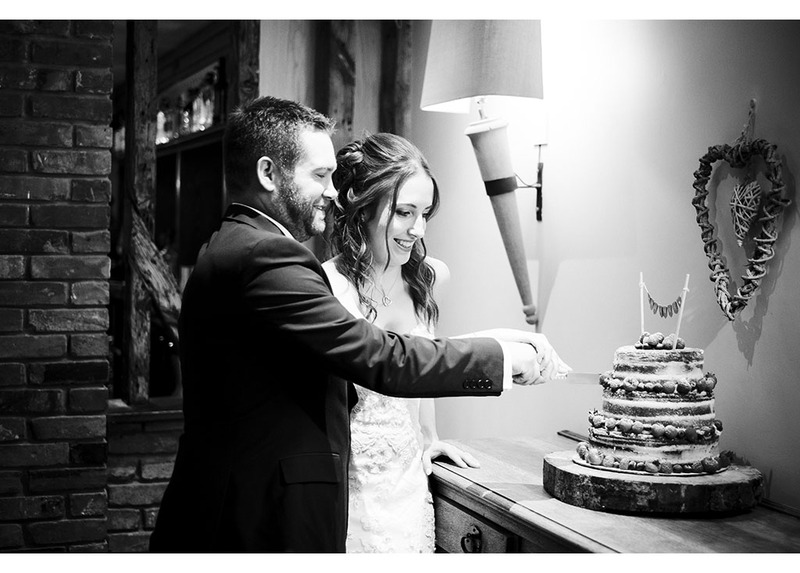 We loved their naked wedding cake, homemade by the bride herself. 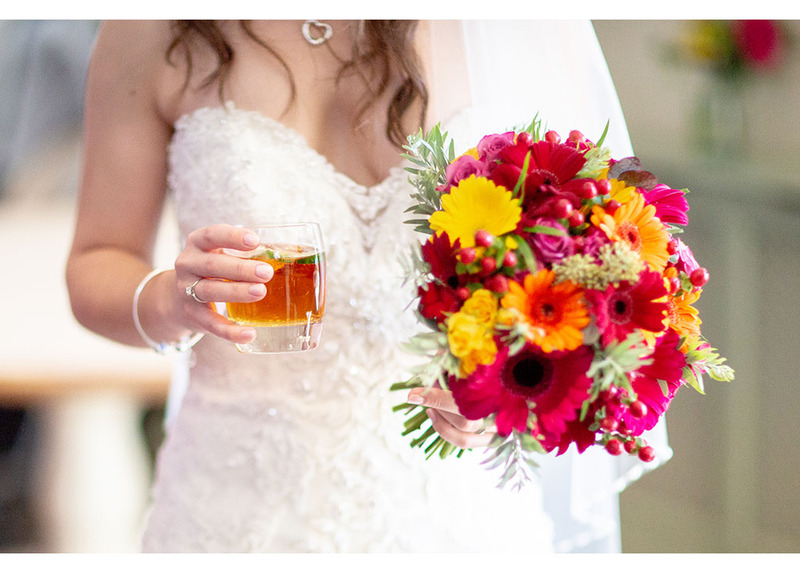 It looked stunning decorated with fresh fruit and flowers. 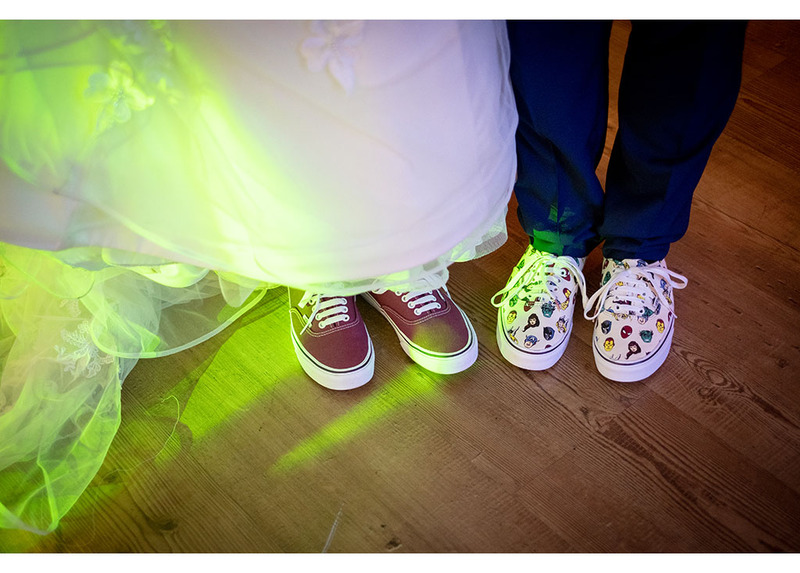 The couple also chose a less formal casual style BBQ meal. 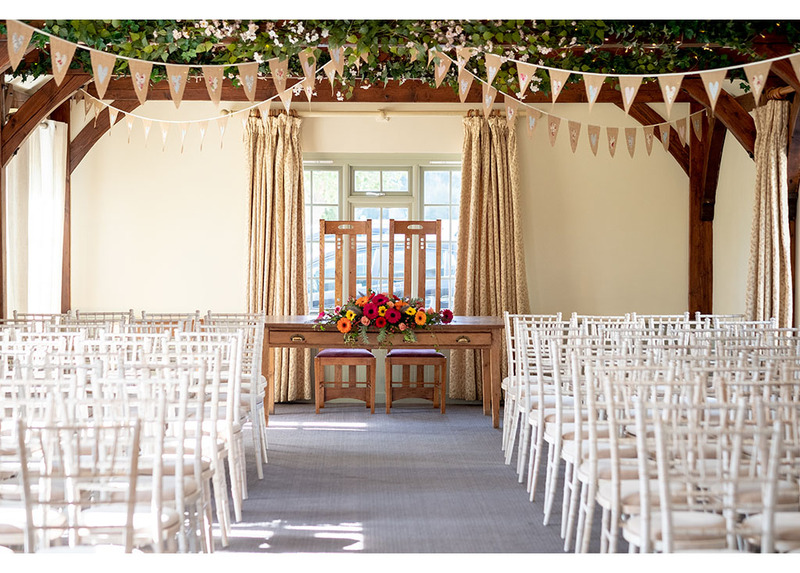 Both elements fitting in perfectly with the relaxed rustic style of the venue. 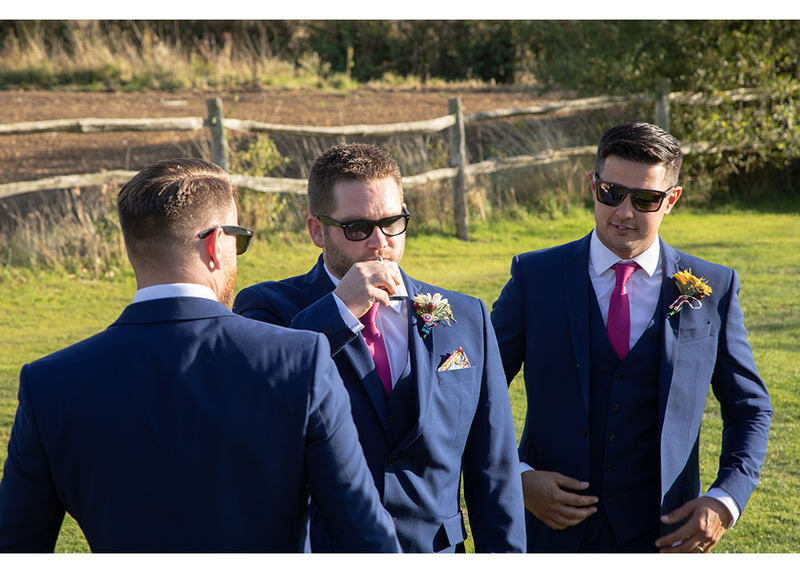 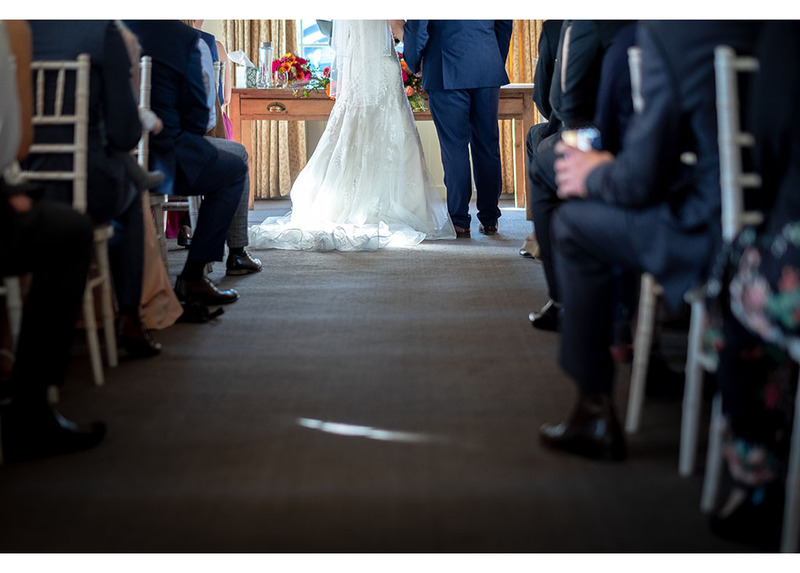 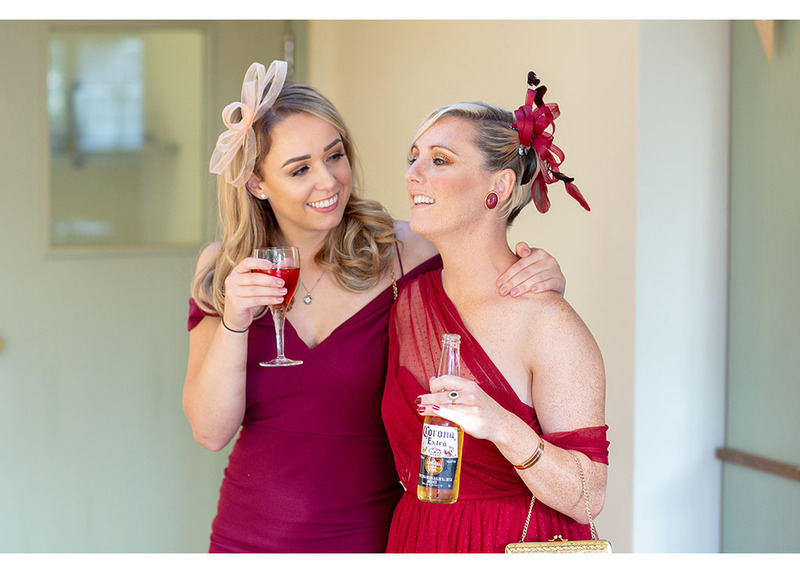 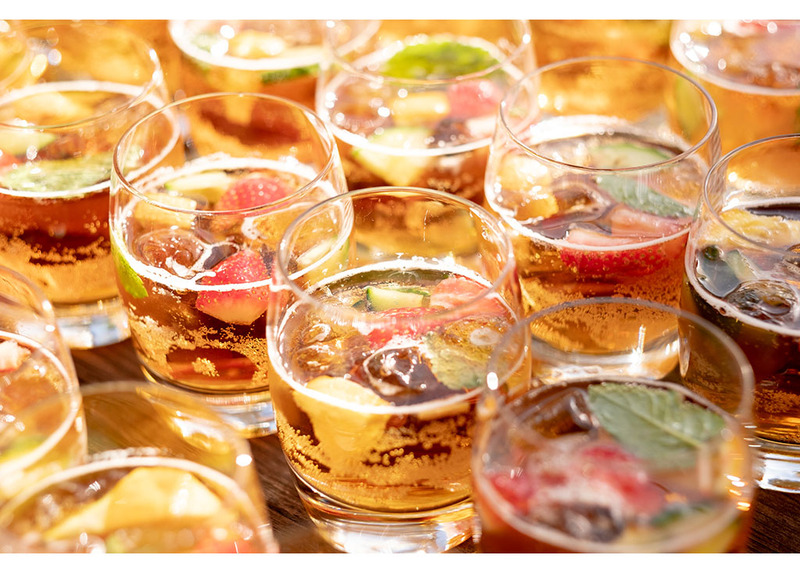 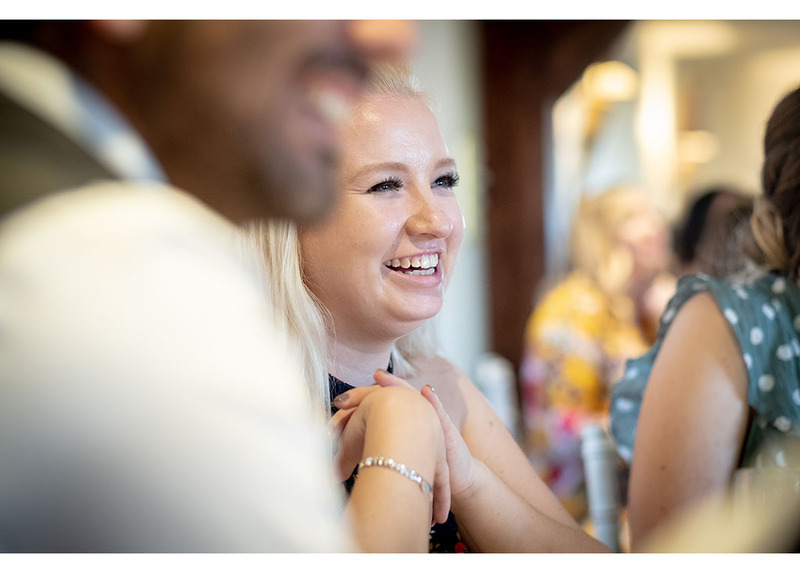 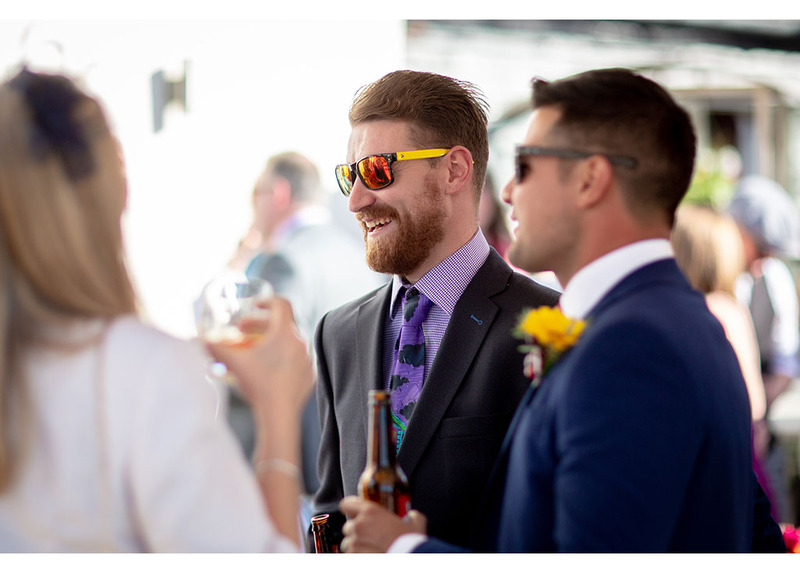 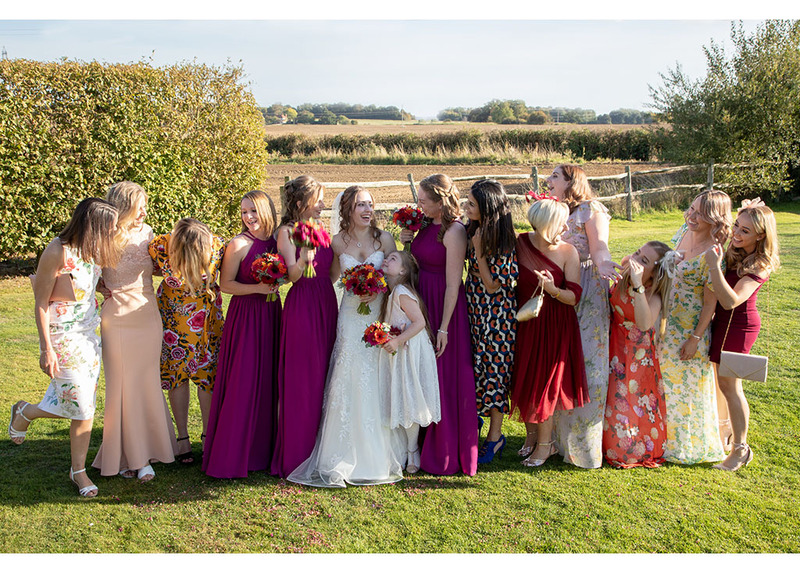 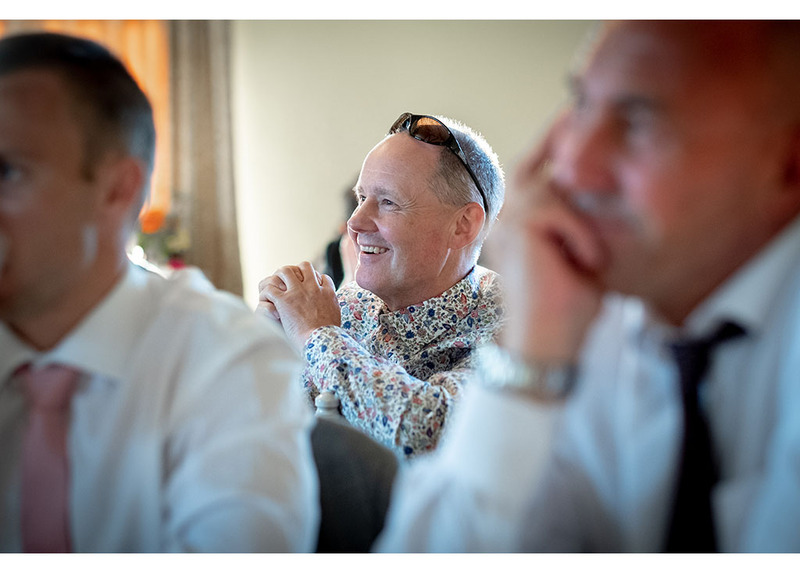 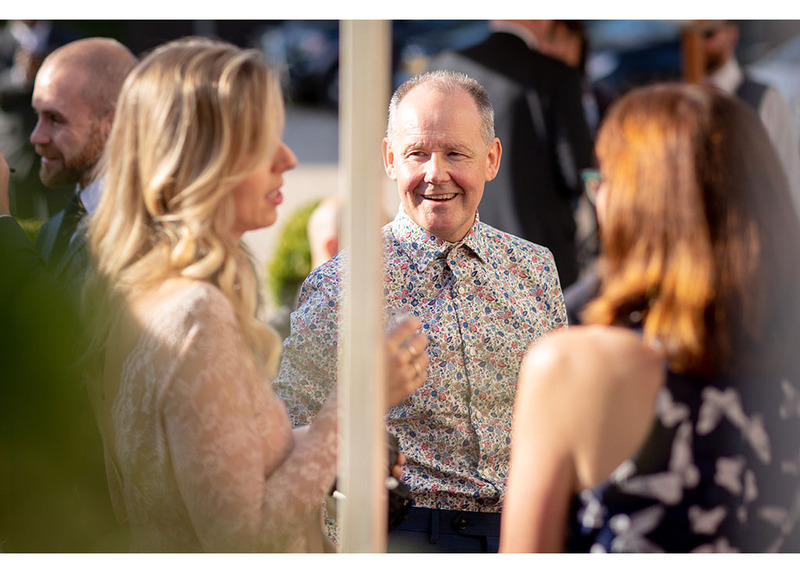 Following their intimate ceremony, guests enjoyed that perfect summer’s day drink, Pimms, served in the beautiful September sunshine whilst we were able to capture lots of relaxed natural photographs. 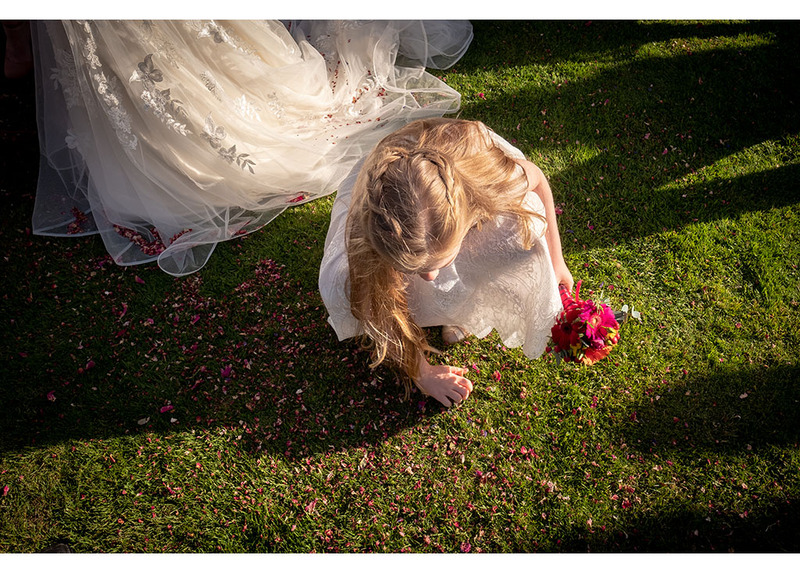 Children played on the lawn, confetti was thrown and we were able to photograph several posed family and friends groups. 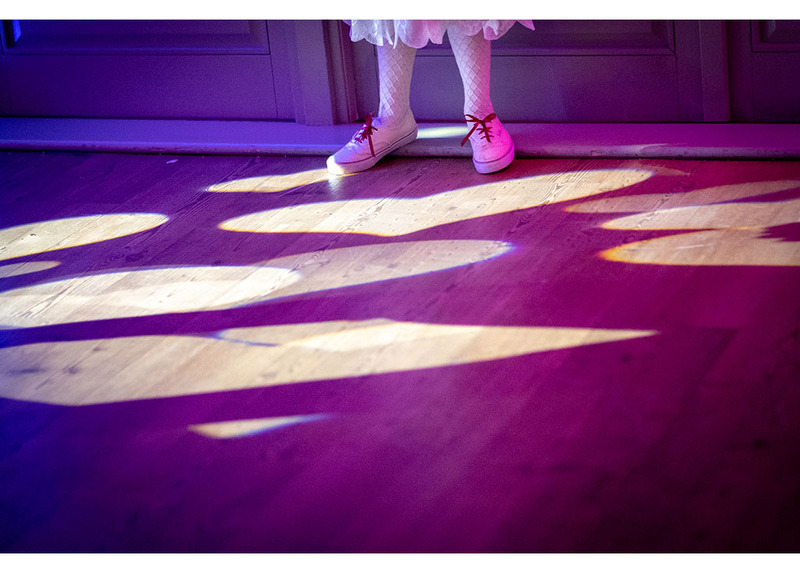 We were also able to make great use of The Compasses’ beautiful setting. 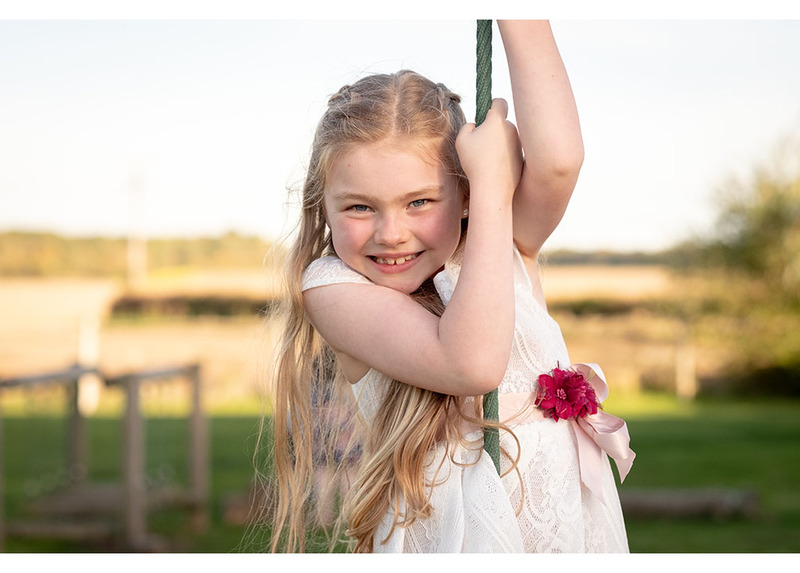 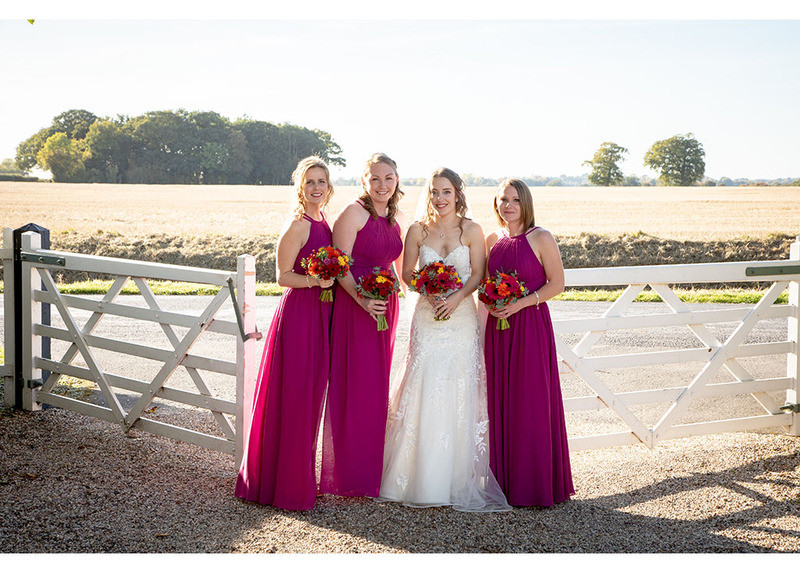 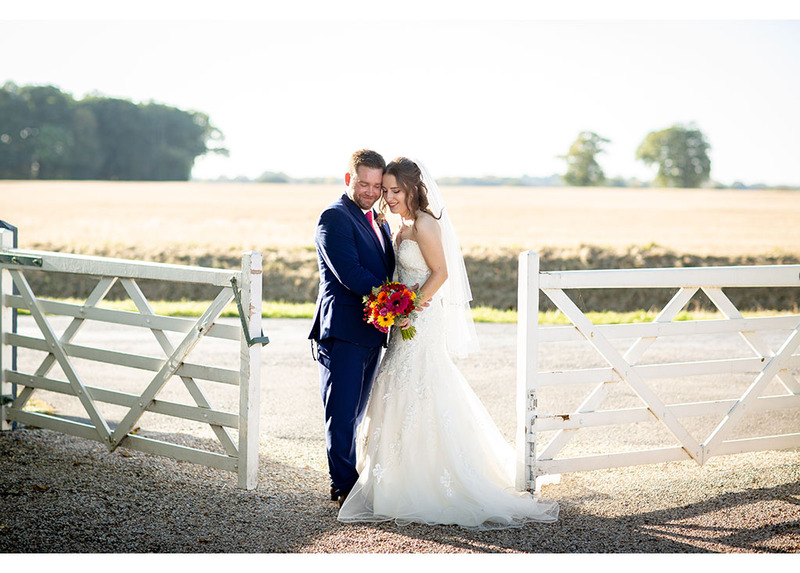 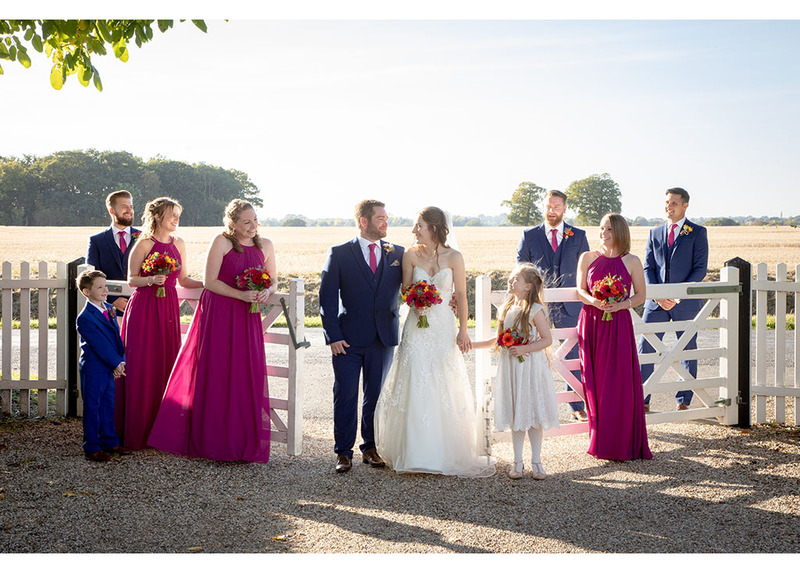 Whilst the couple were able to have a little time away from the party, just the two of them, we were able to capture some special images on the country lane and surrounding fields. 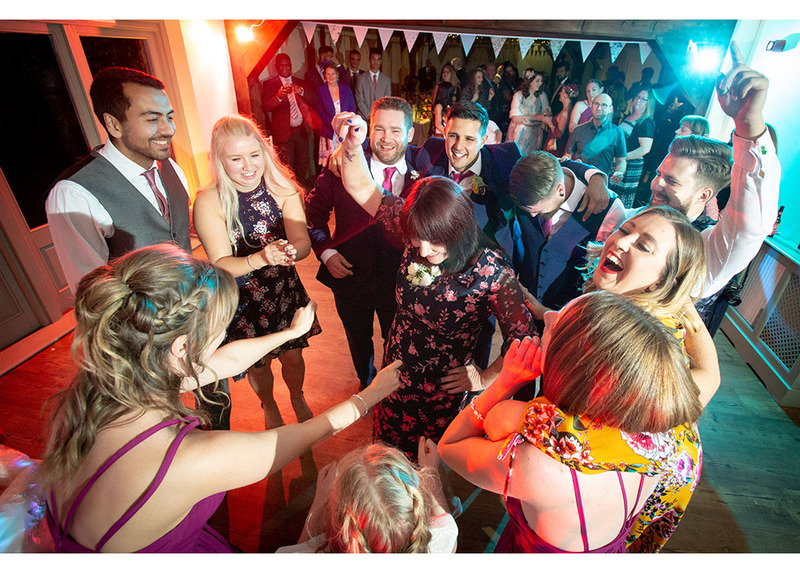 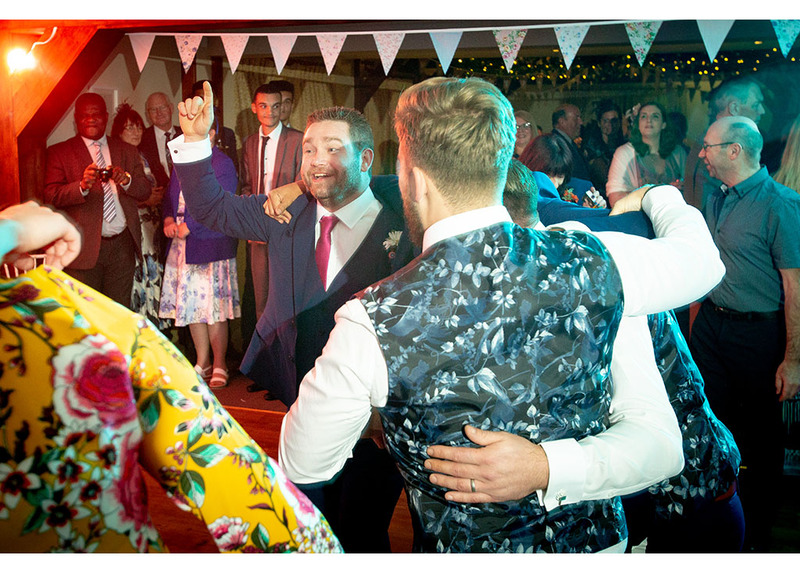 And of course, we were able to complete Charlotte & Dan’s wedding day story by photographing their first dance and the fab party that followed on the dance floor late into the night. 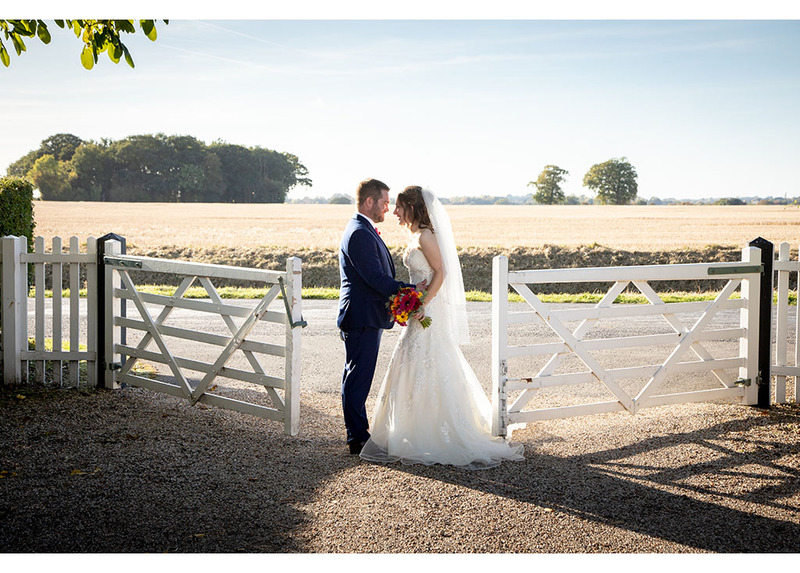 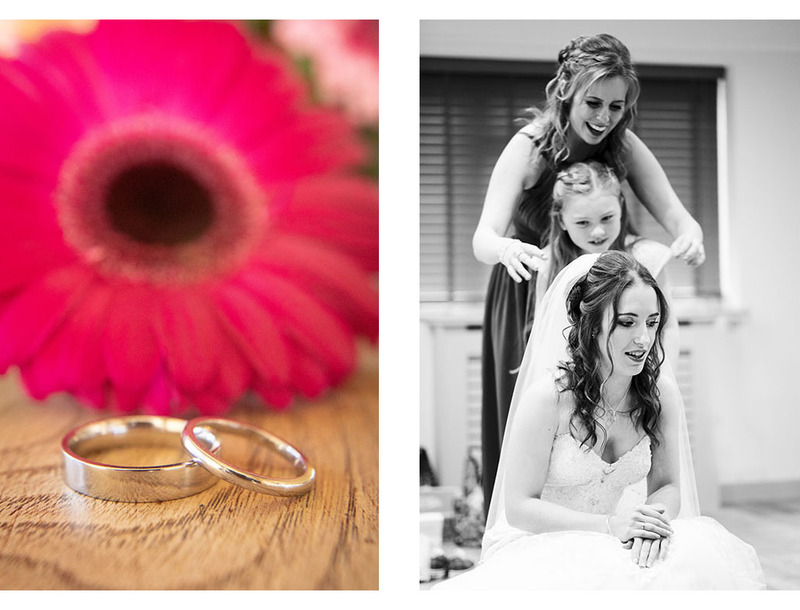 Here is just a selection of the pictures from Charlotte & Dan’s September wedding at The Compasses at Pattiswick. 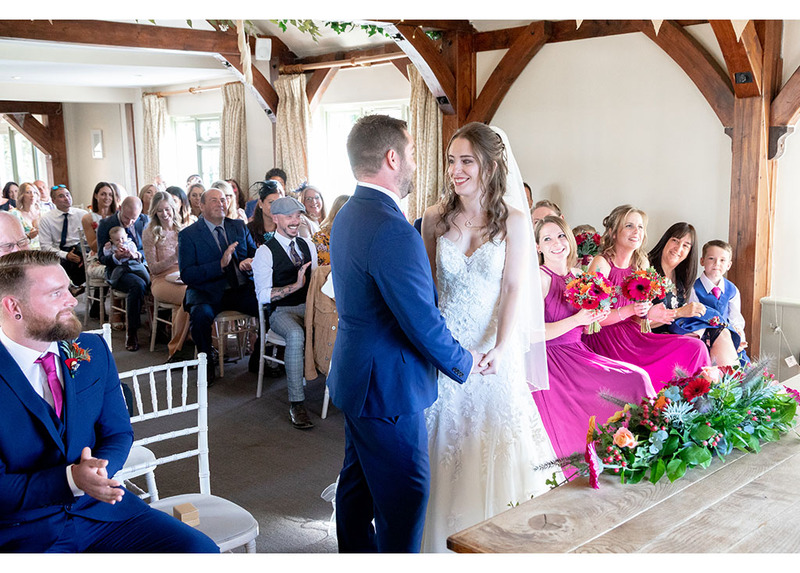 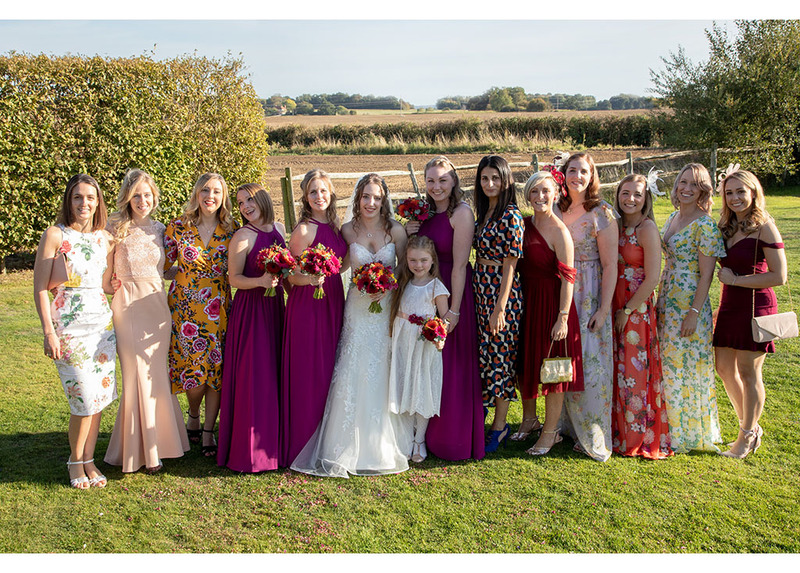 Lovely wedding suppliers that all helped to make Charlotte & Dan’s September wedding at The Compasses at Pattiswick special. 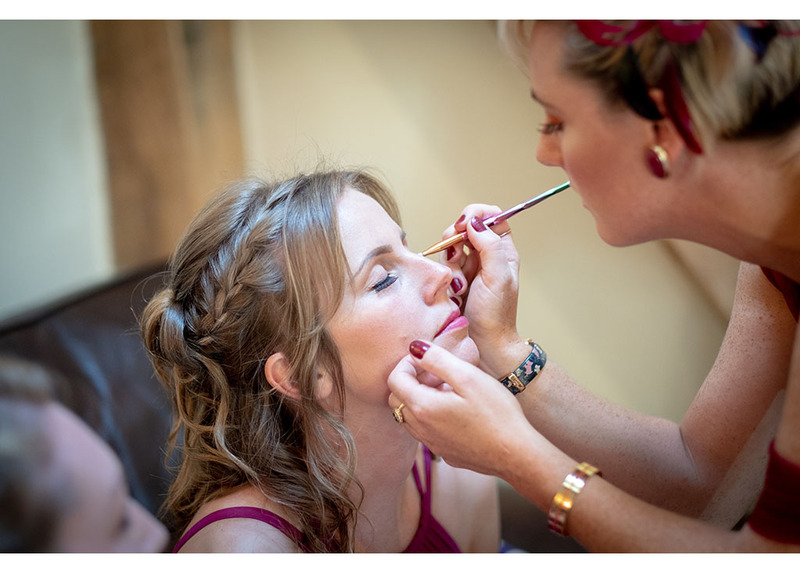 Make up artist – Bride’s friend. 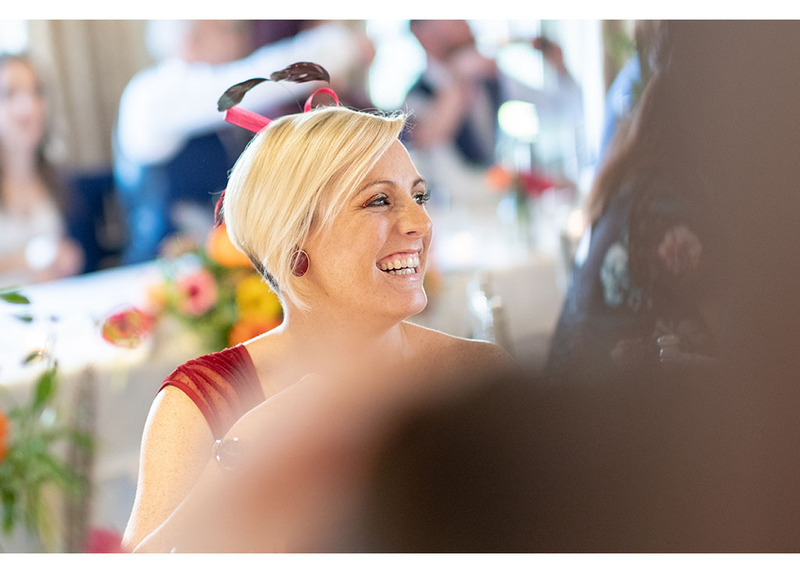 Hairdresser – Sharlene from Top to Toe, Harlow. 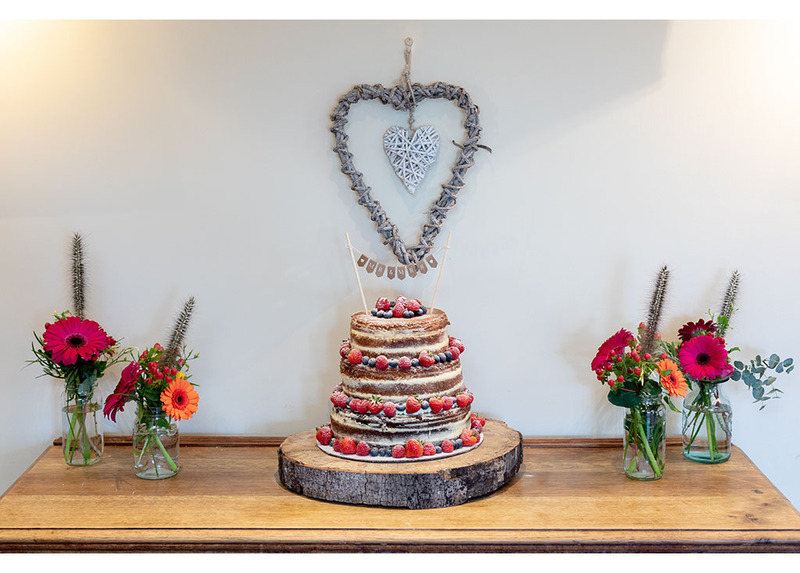 Wedding cake – Homemade by the bride! 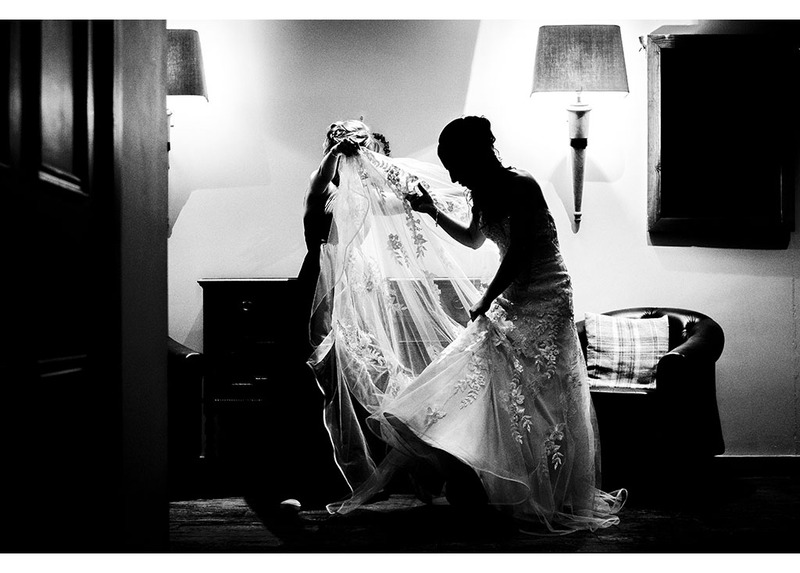 Category: alternative bride, alternative wedding photography, Alternative weddings, Braintree wedding photographer, Chelmsford wedding photographer, creative wedding photography, documentary wedding photographer, documentary wedding photography, essex creative wedding photographer, Essex wedding photographer, Essex wedding photography, essex wedding venue, Essex weddings, natural relaxed weddings, natural wedding photography, reportage wedding photography, romantic wedding photographer, romantic wedding photography, Summer Weddings, The Compasses at Pattiswick weddings, wedding photographer essex, Wedding Photography.